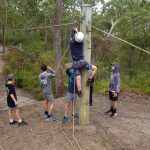 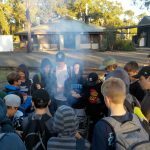 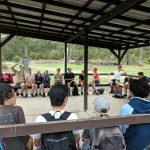 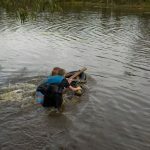 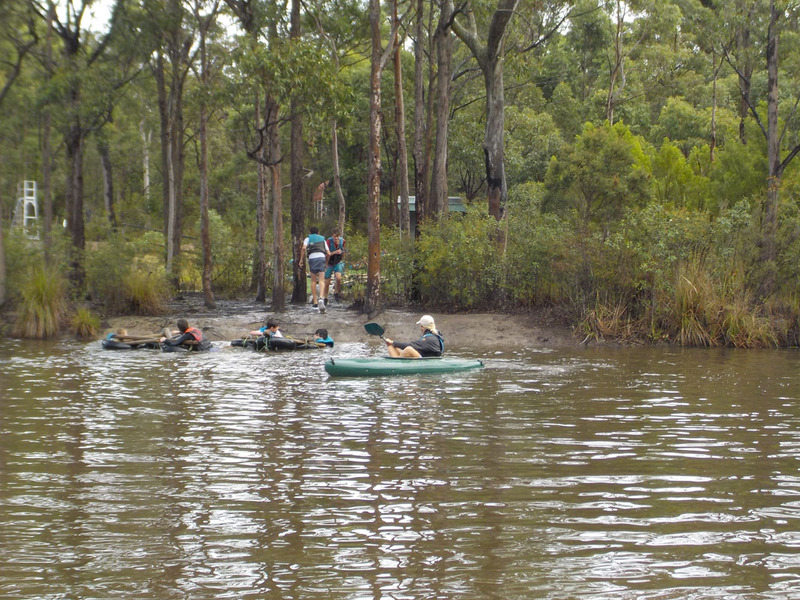 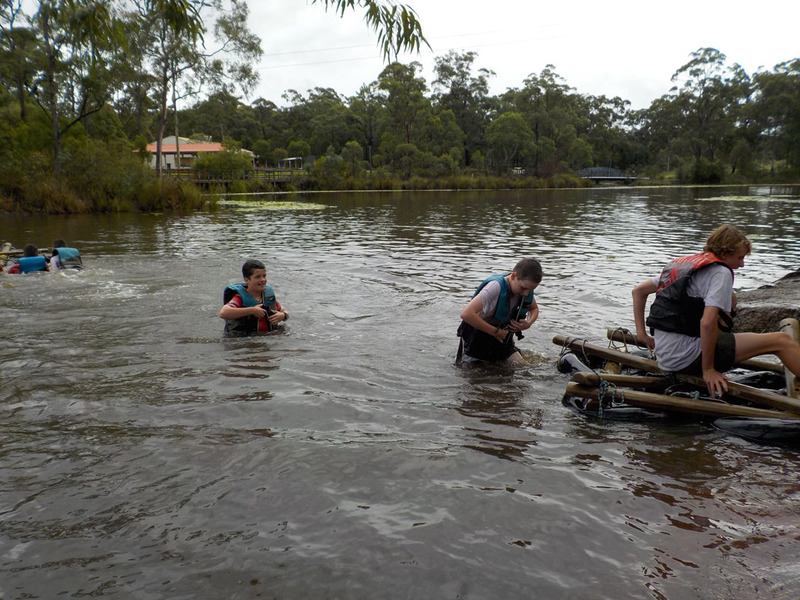 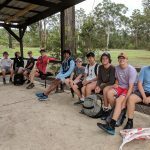 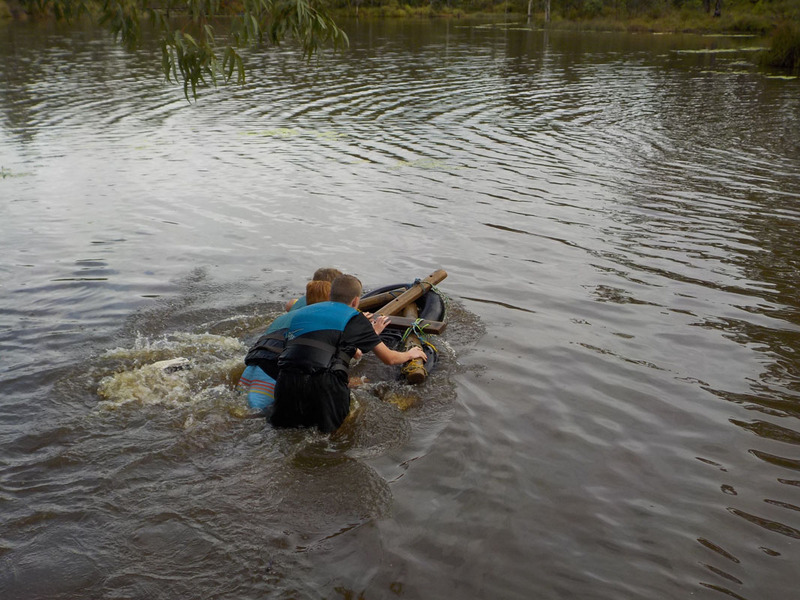 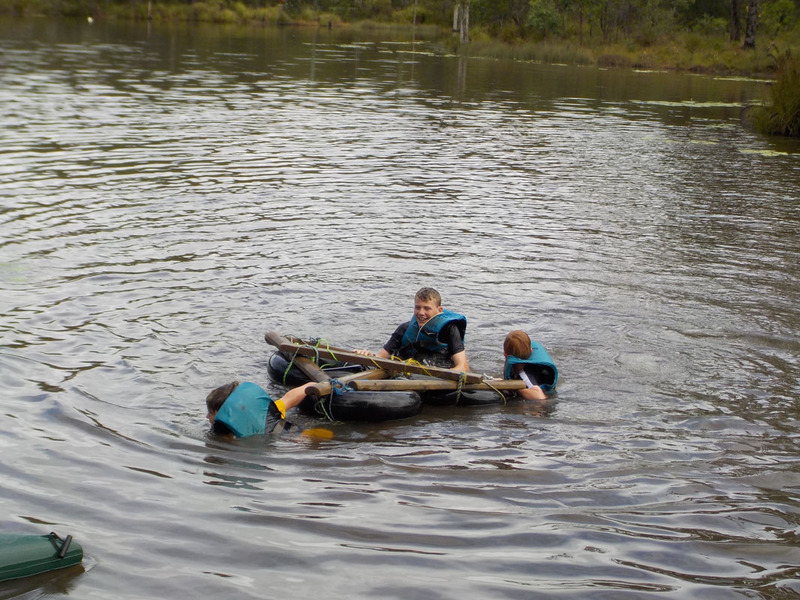 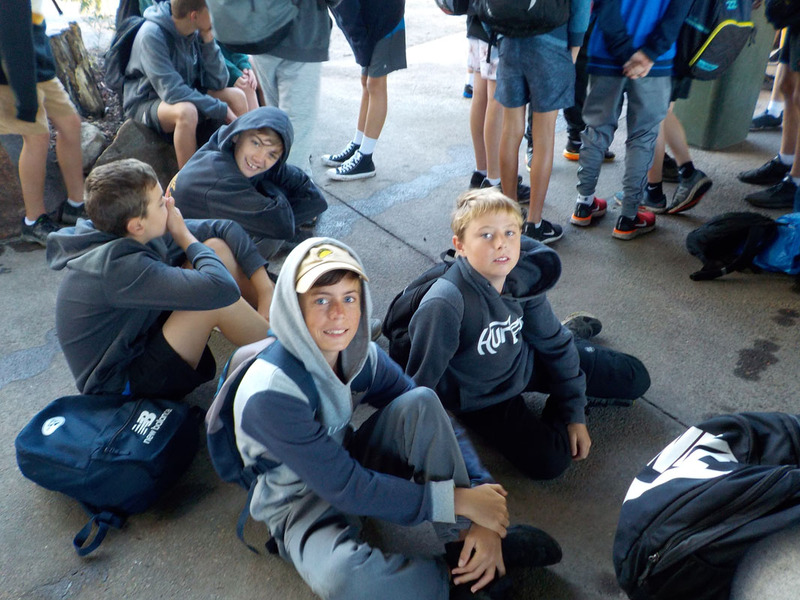 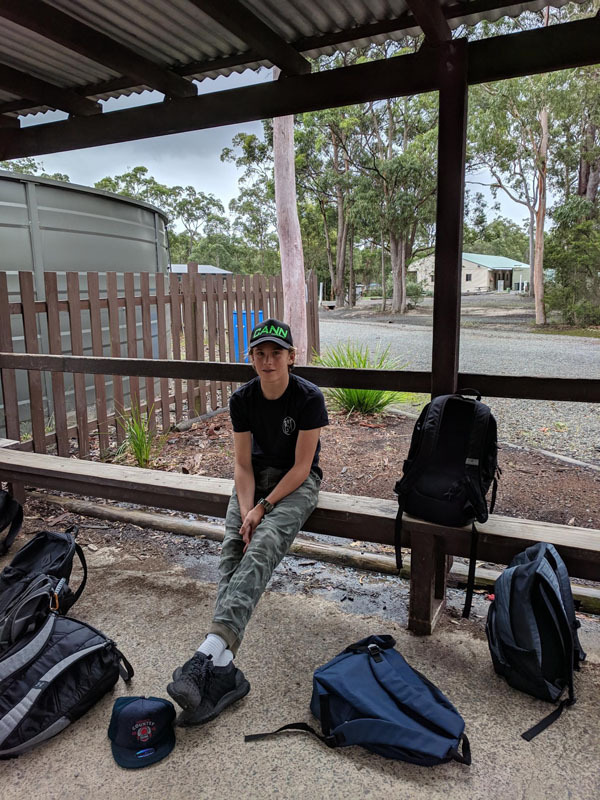 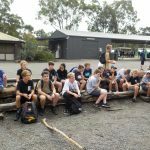 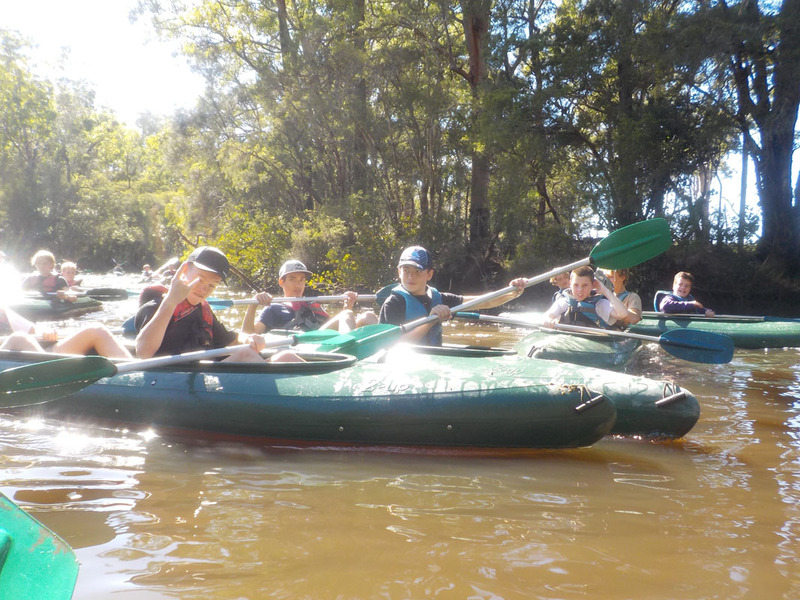 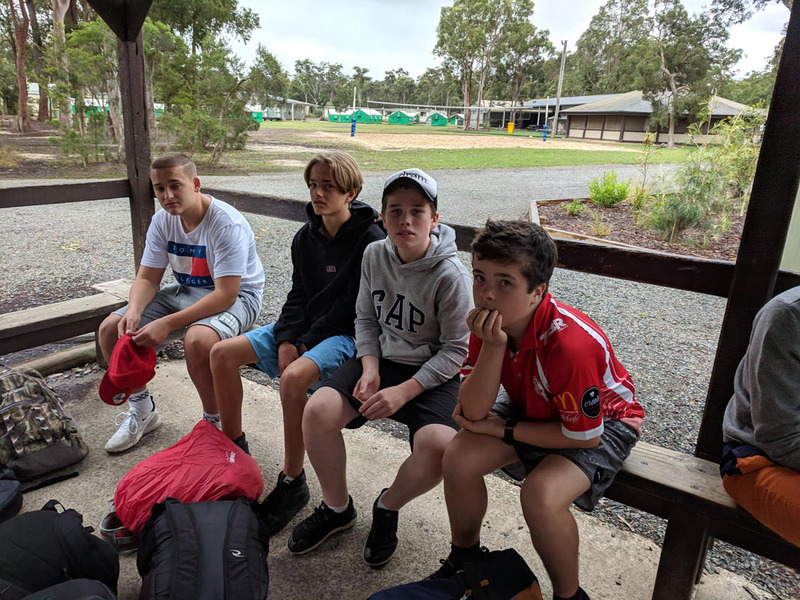 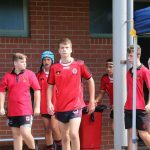 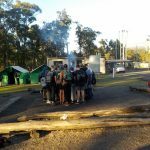 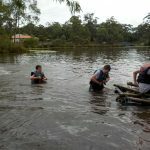 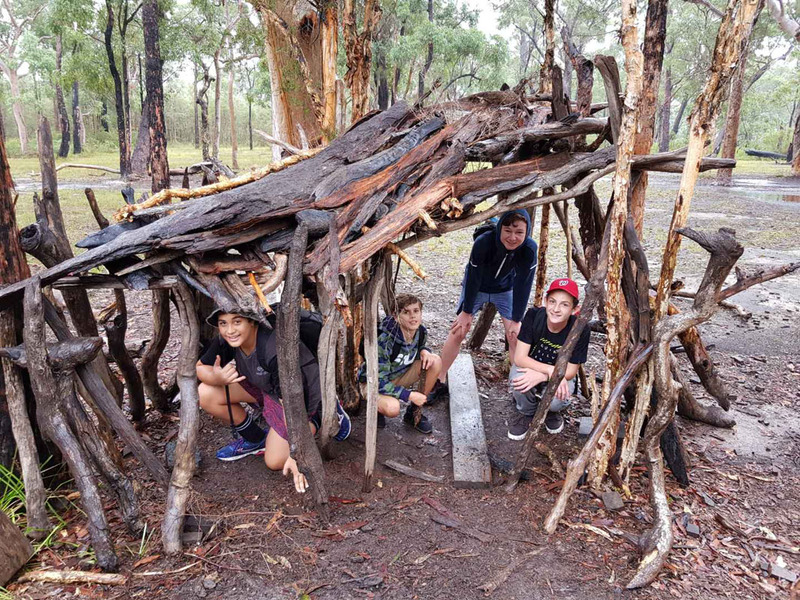 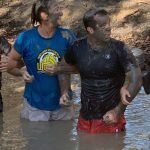 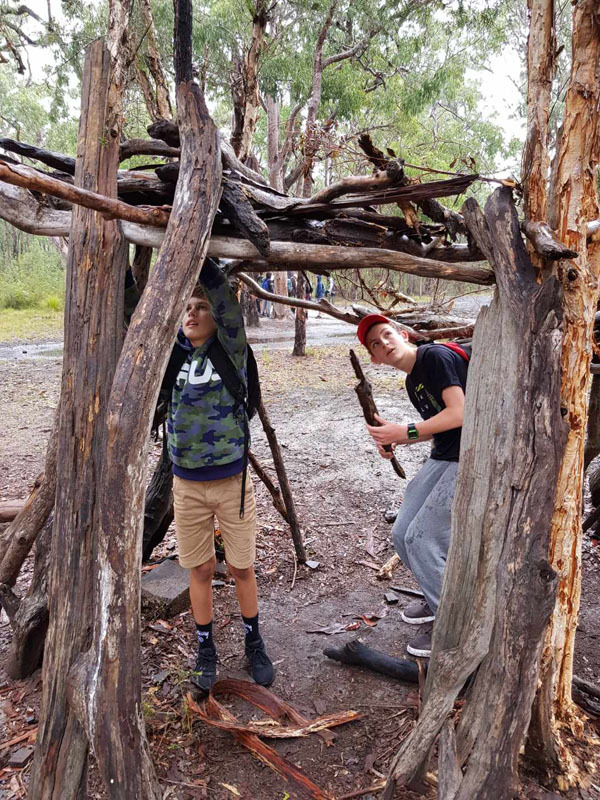 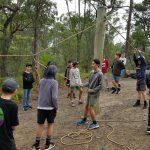 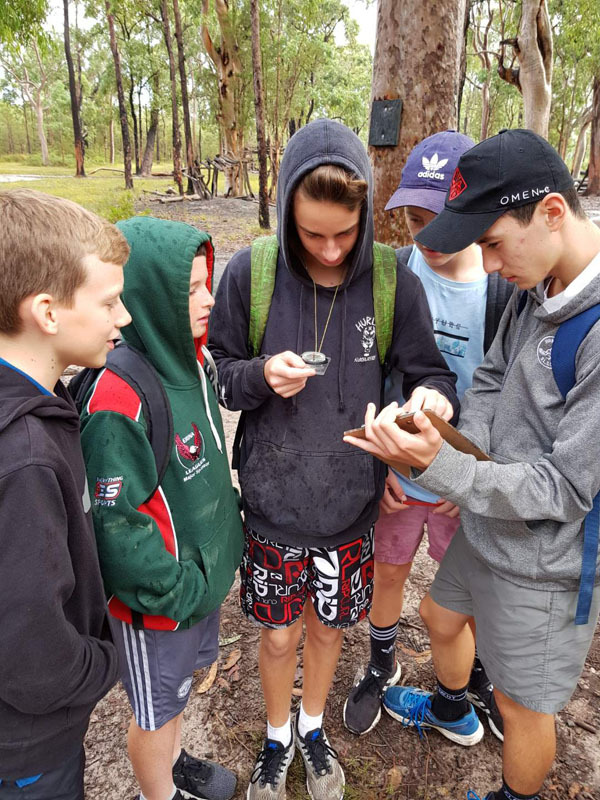 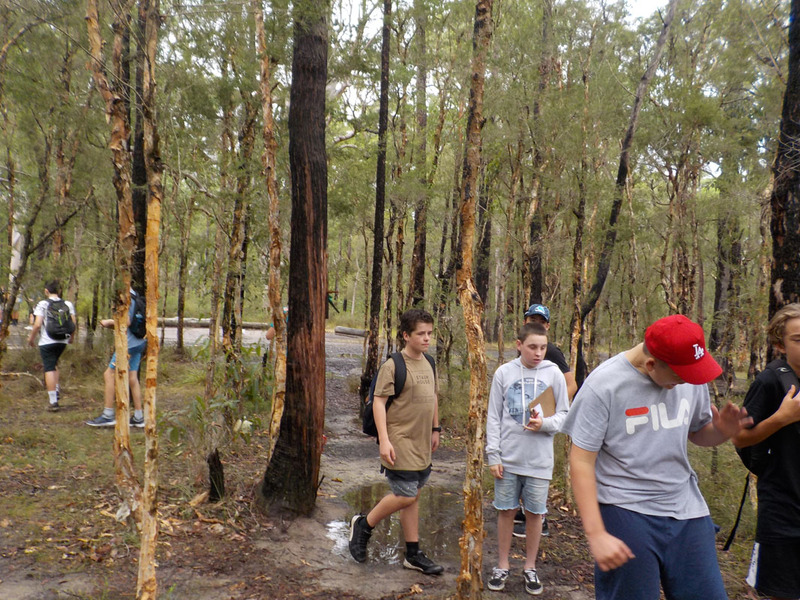 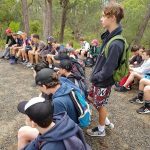 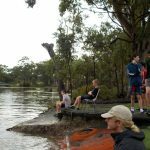 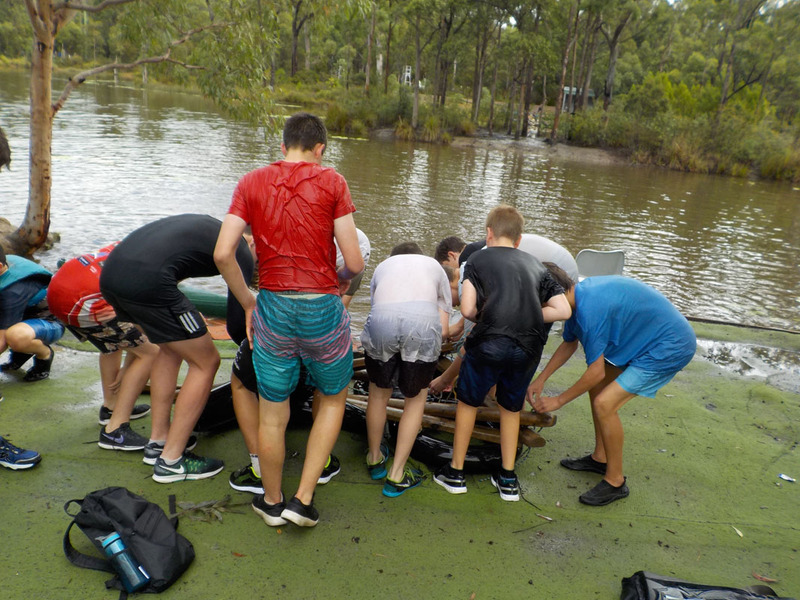 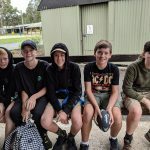 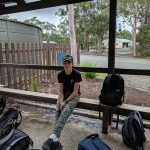 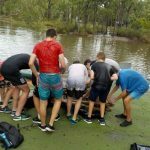 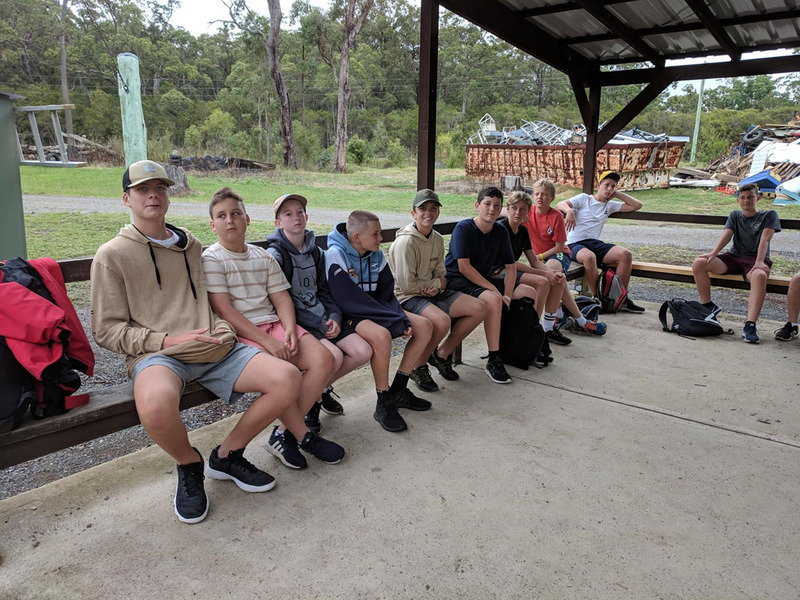 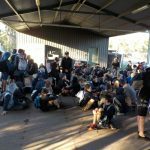 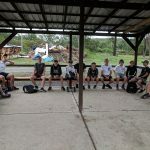 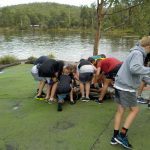 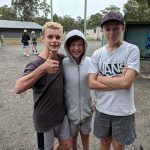 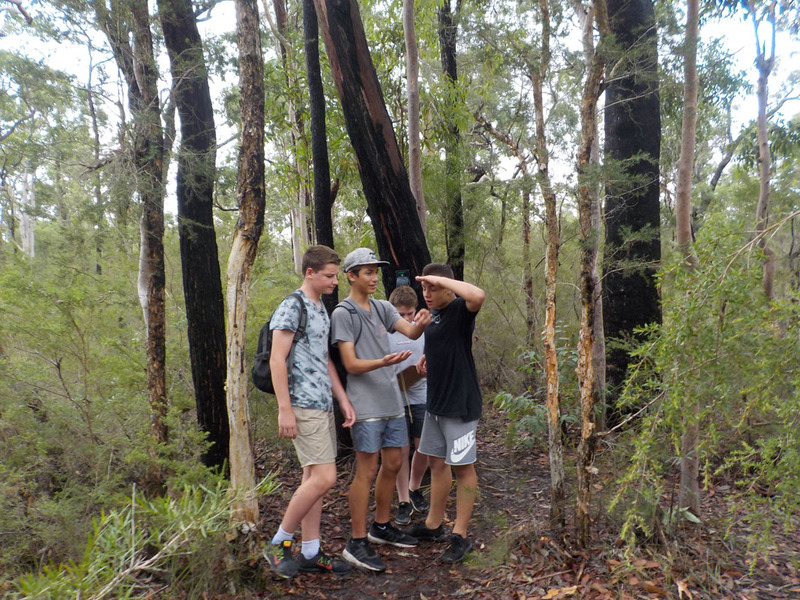 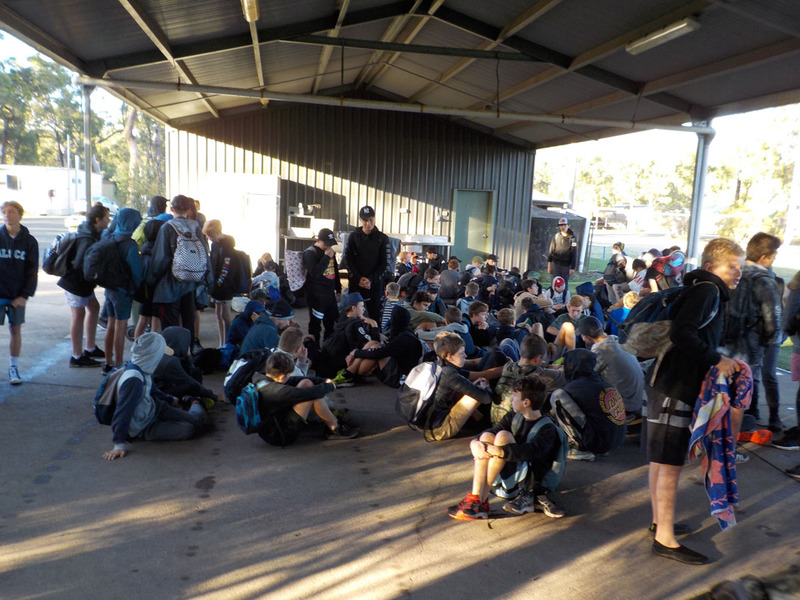 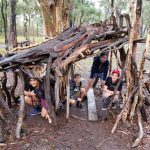 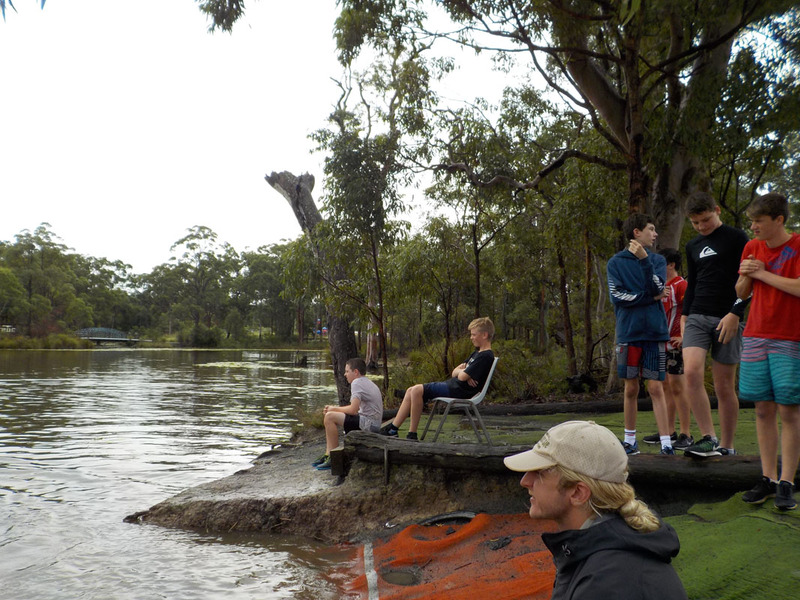 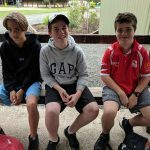 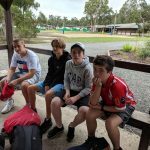 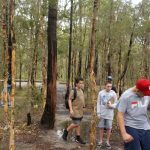 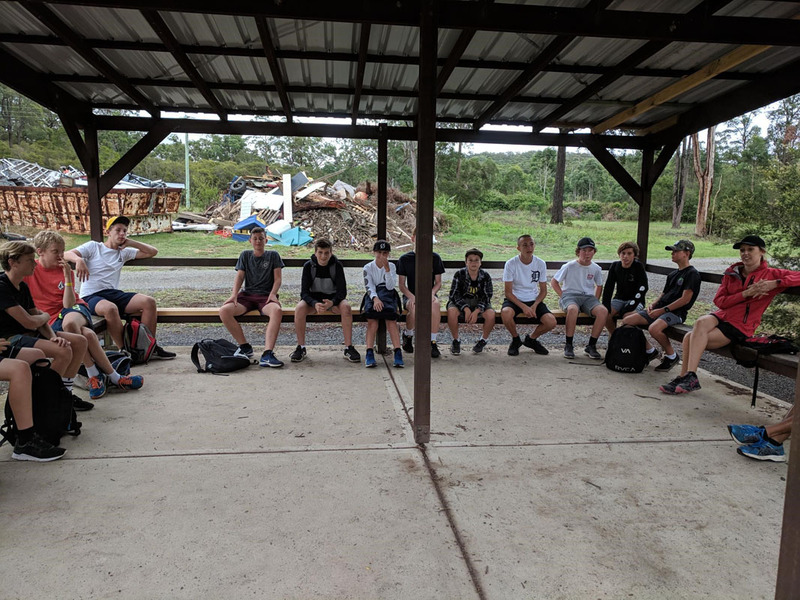 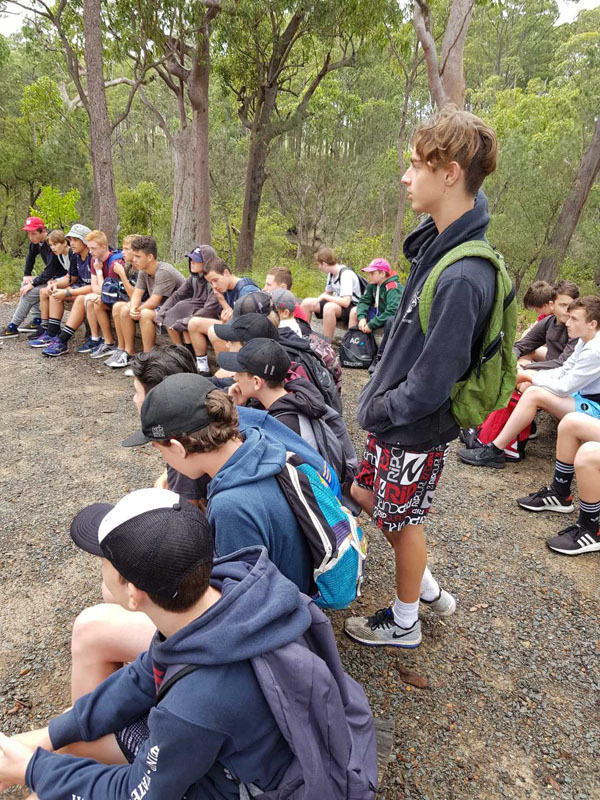 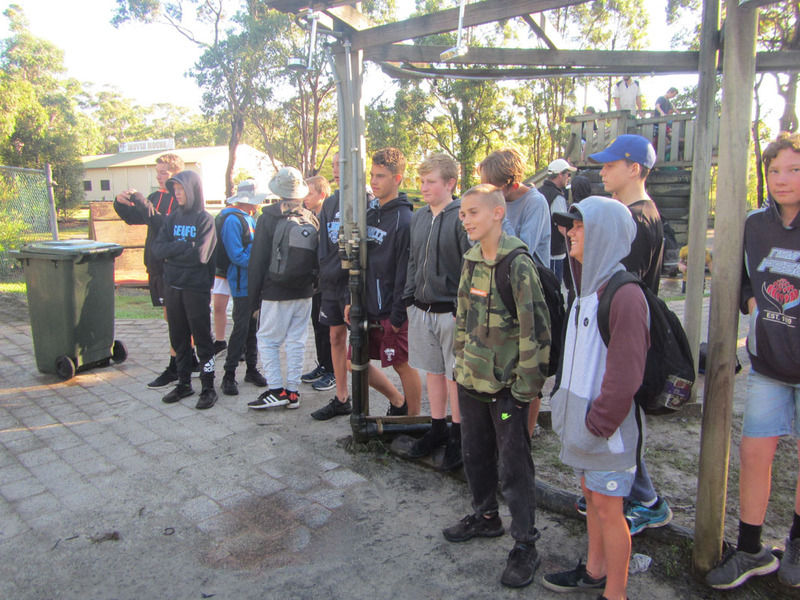 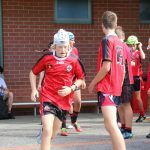 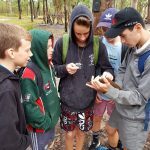 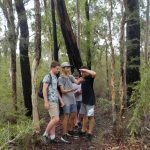 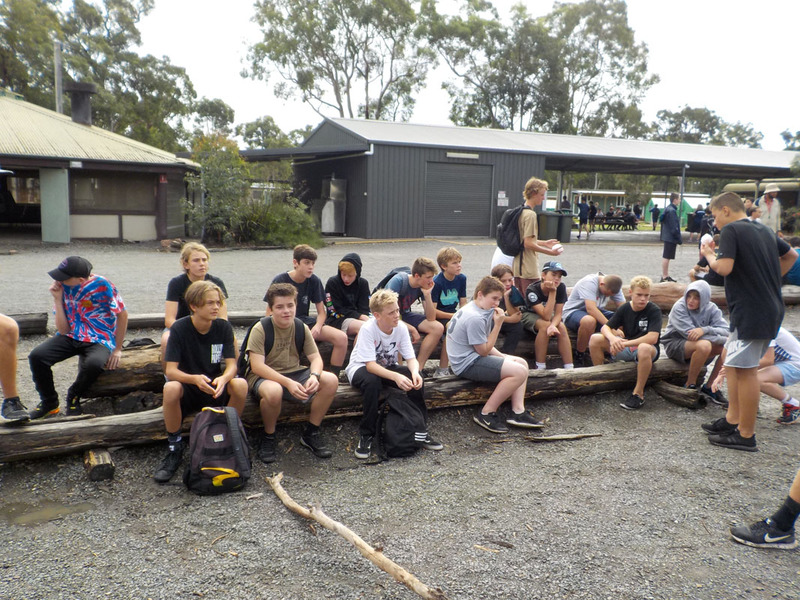 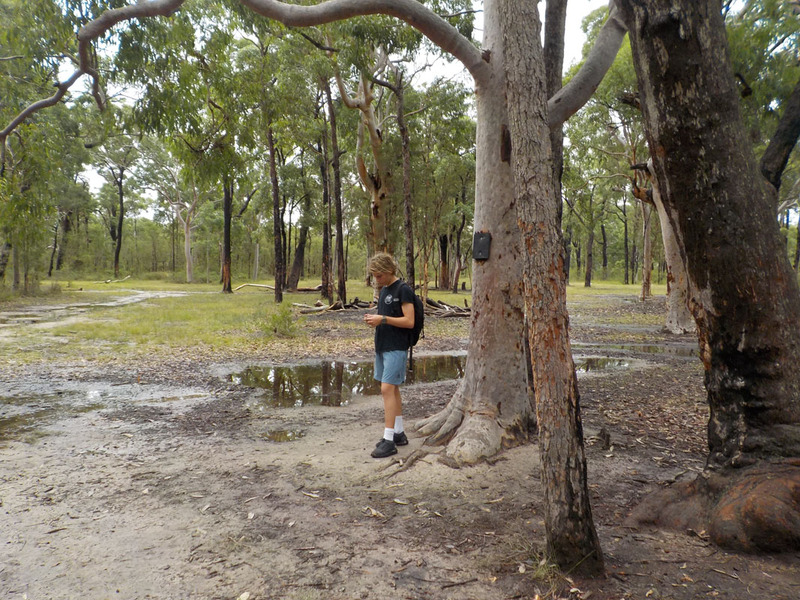 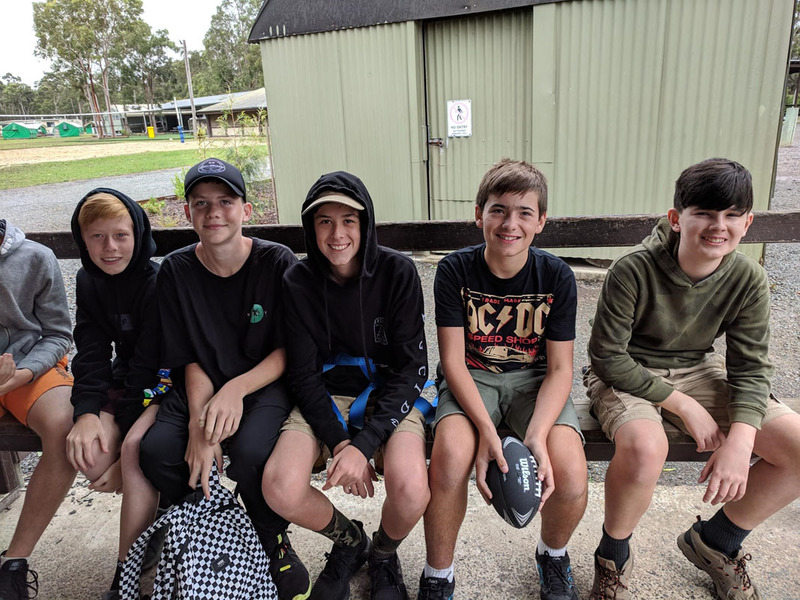 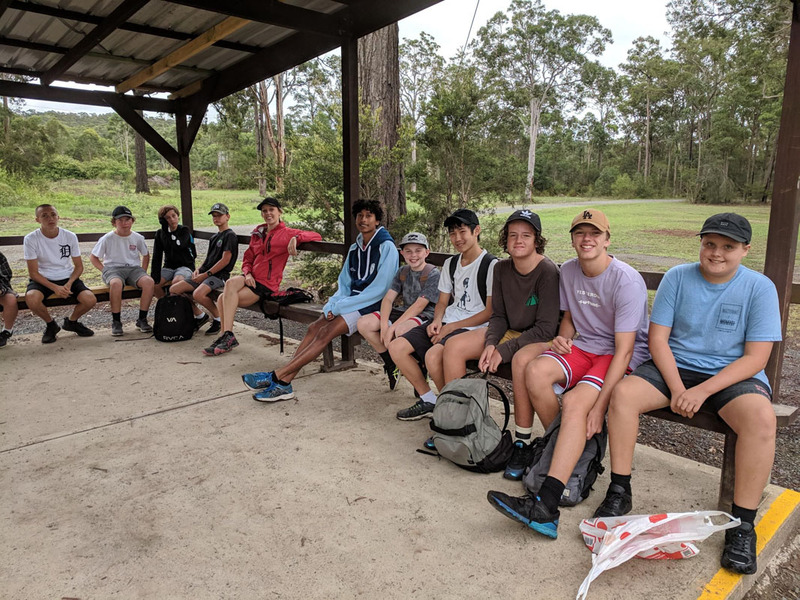 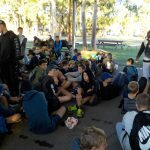 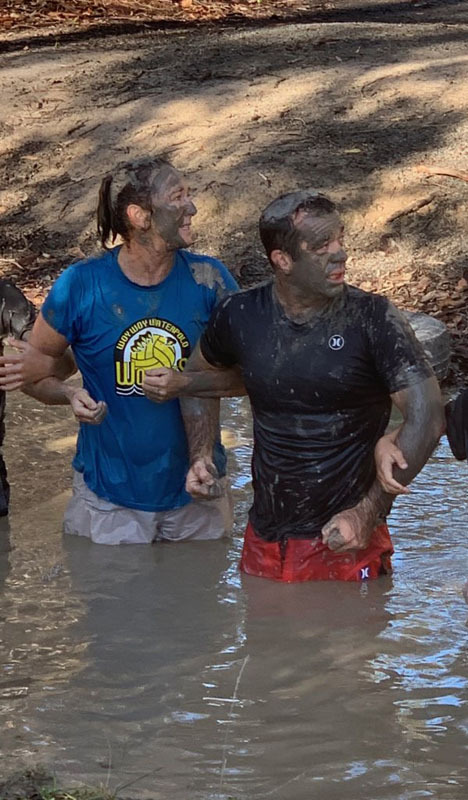 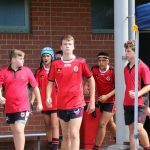 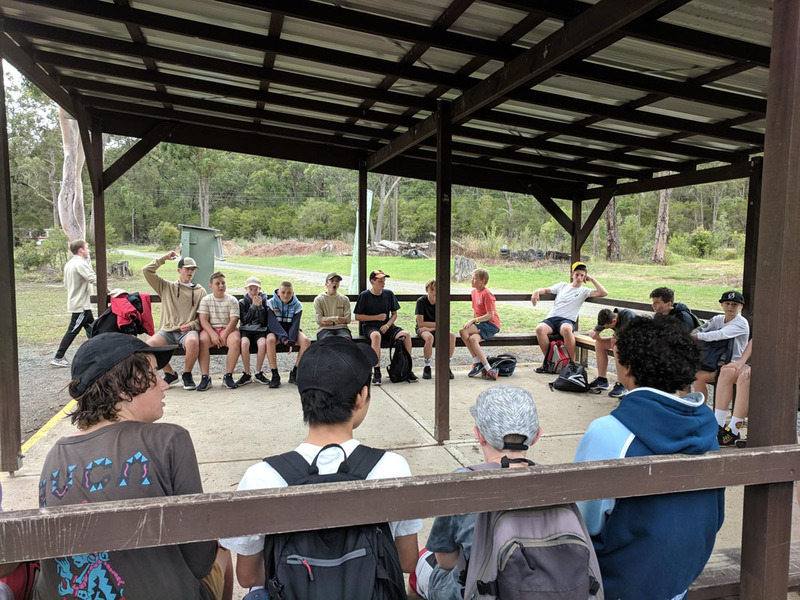 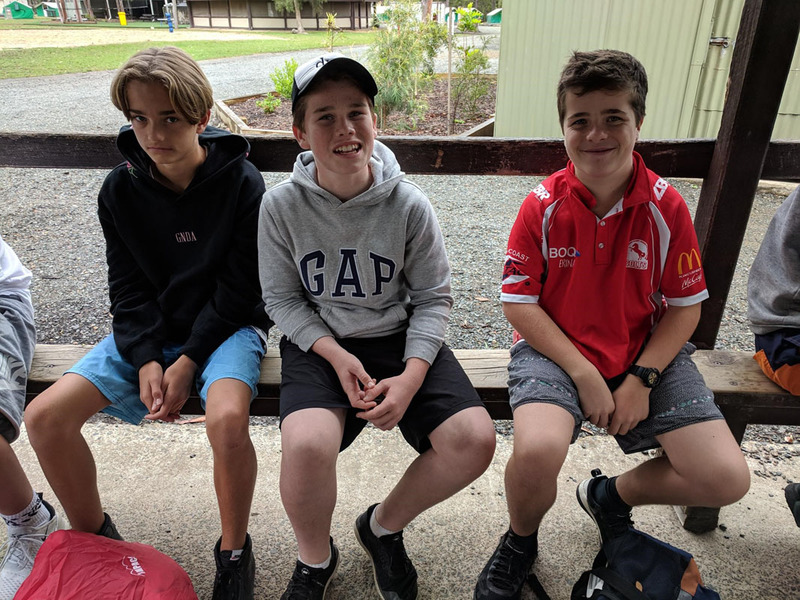 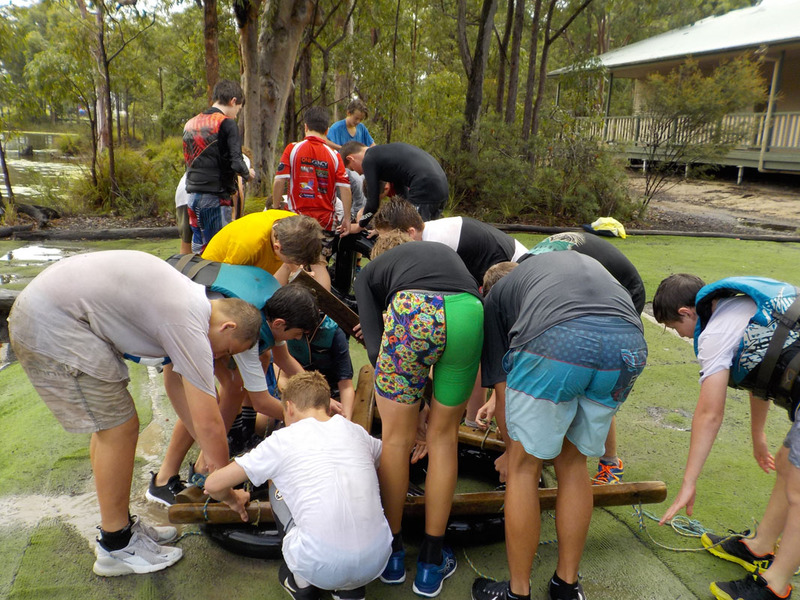 A wet but a defining experience for the Year 8 boys, it was evident within this group that a number of students missed the comforts of home, however, credit to them for seeing the three days through and I believe growing in the process. 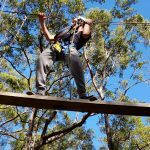 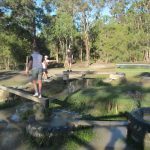 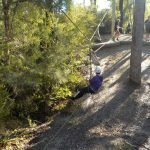 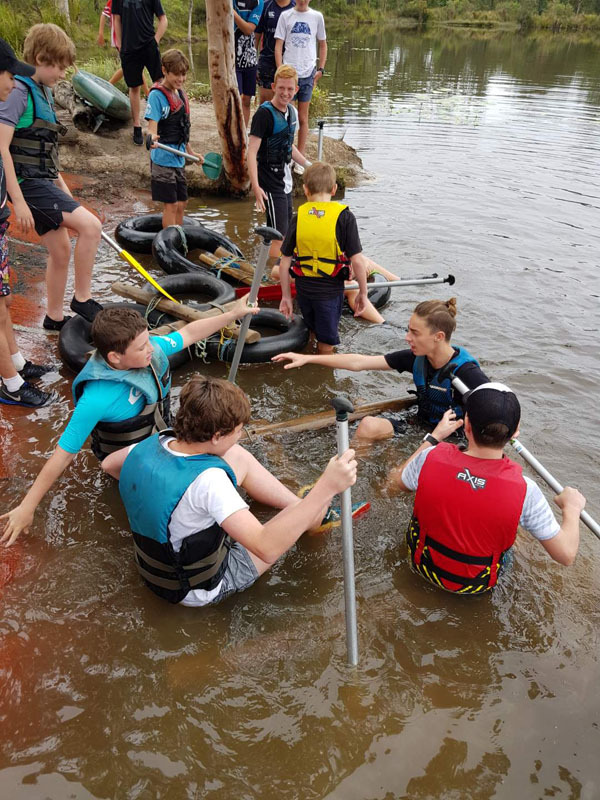 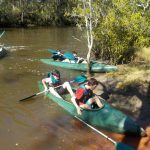 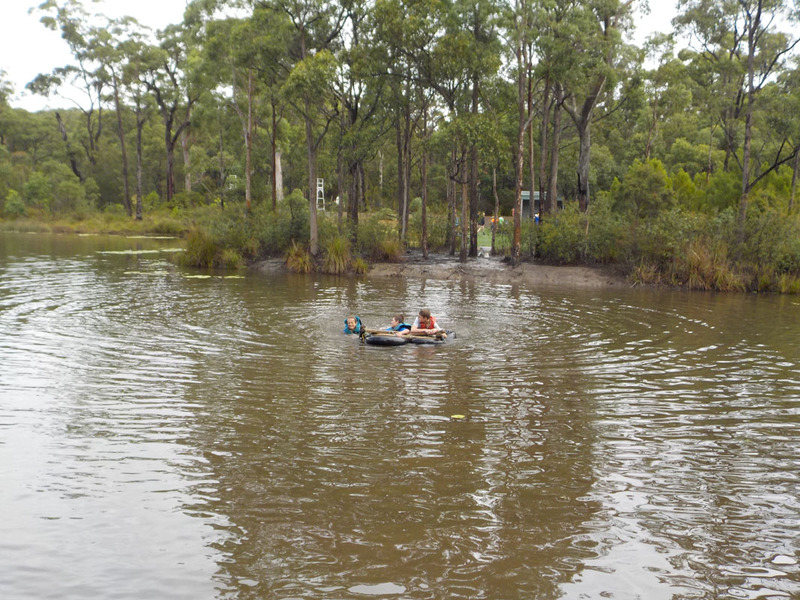 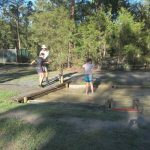 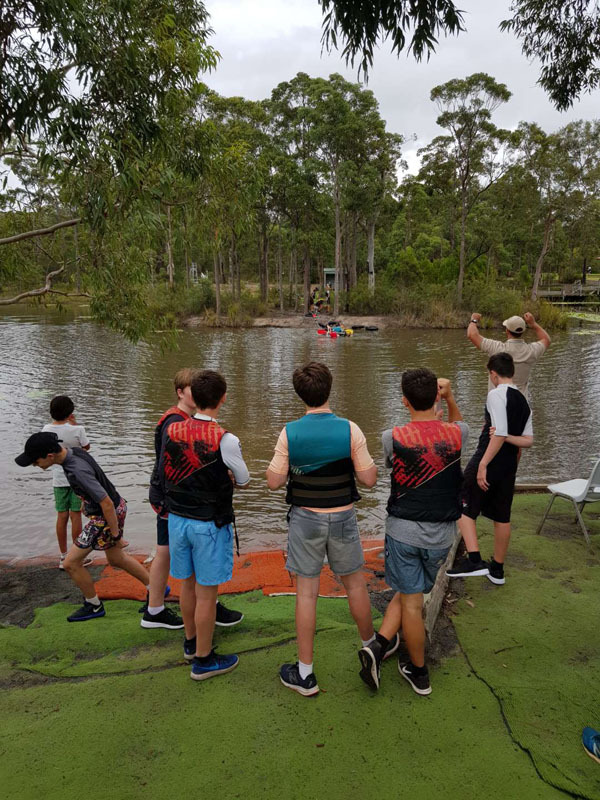 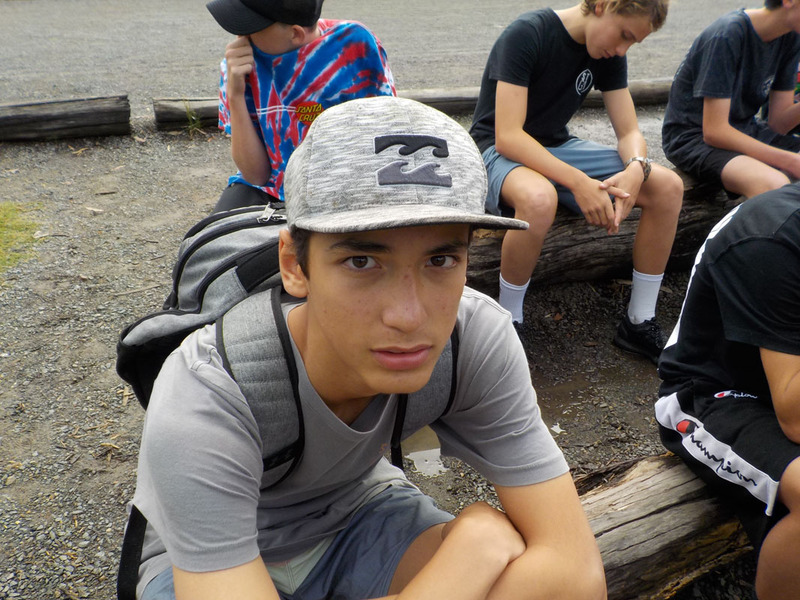 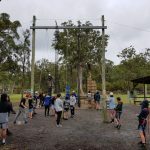 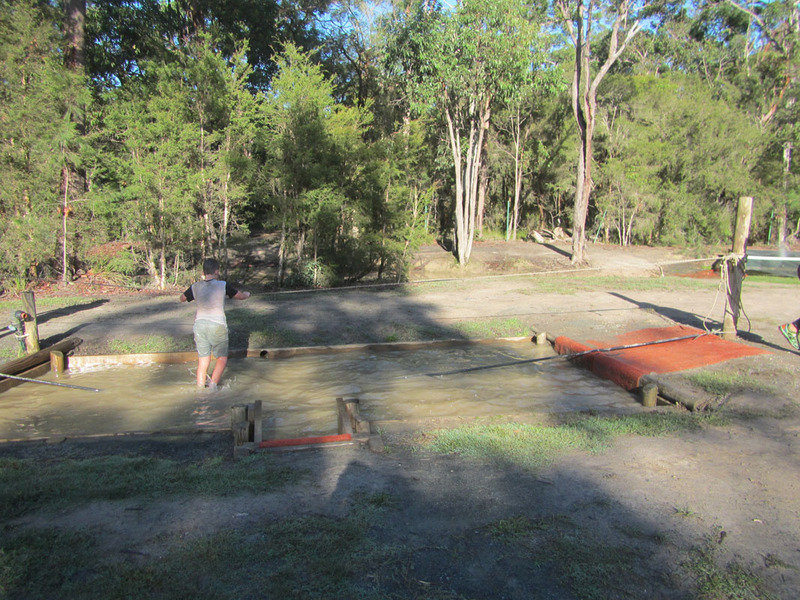 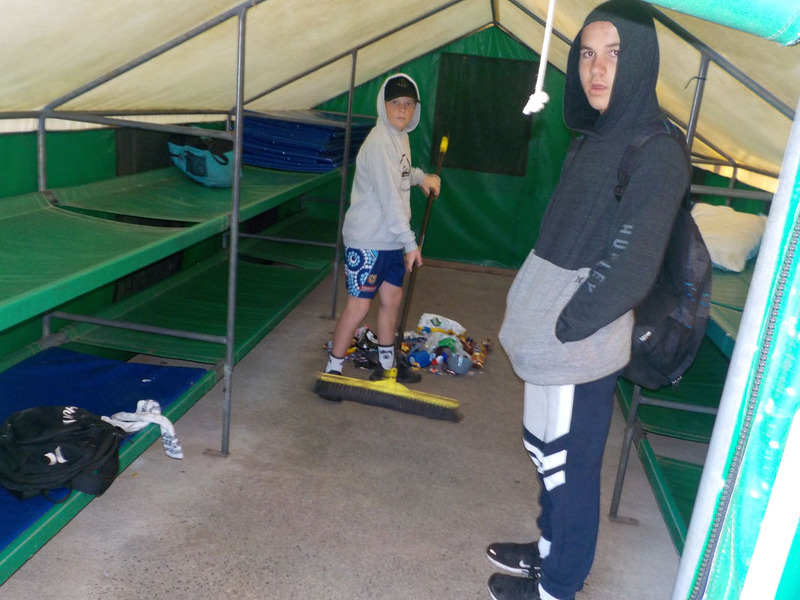 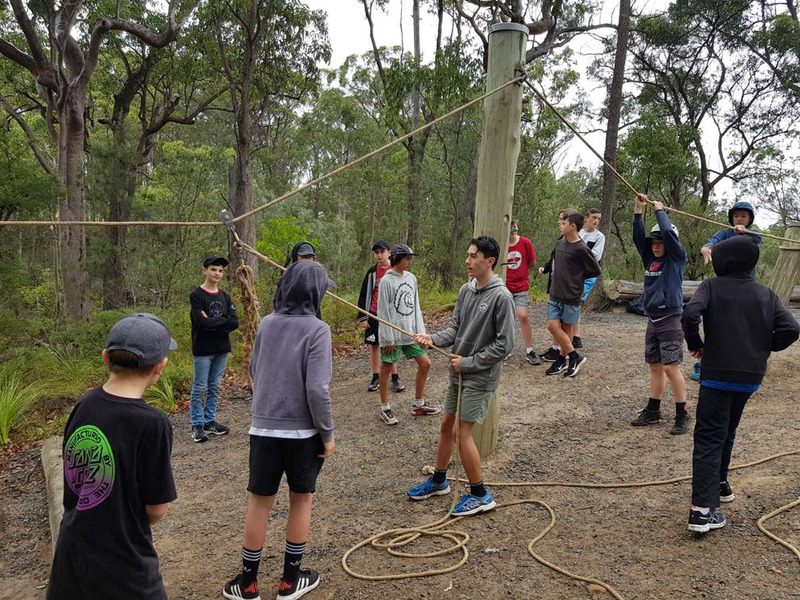 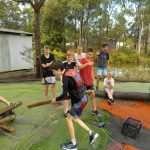 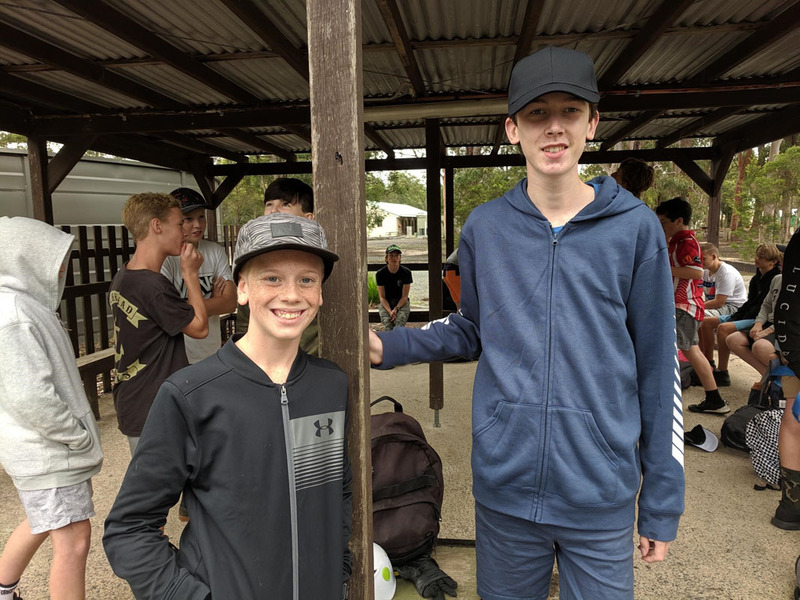 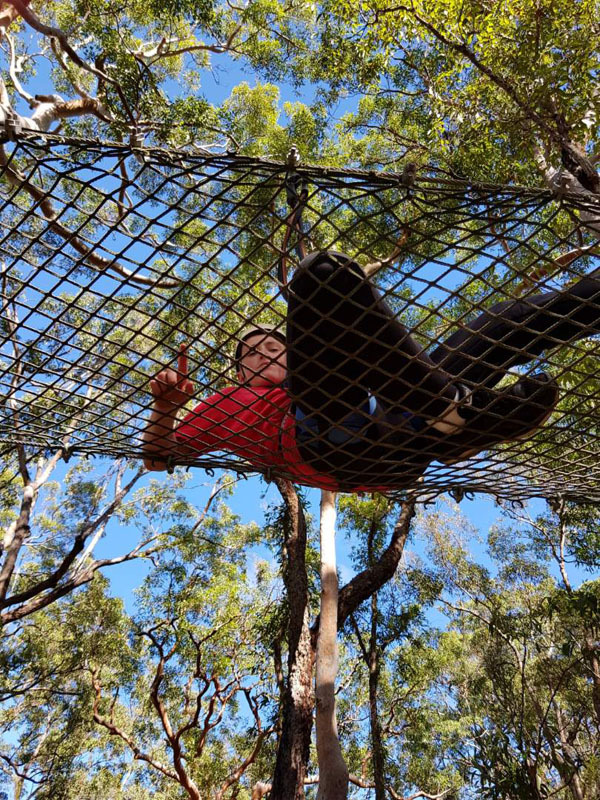 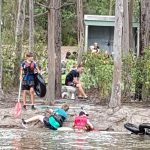 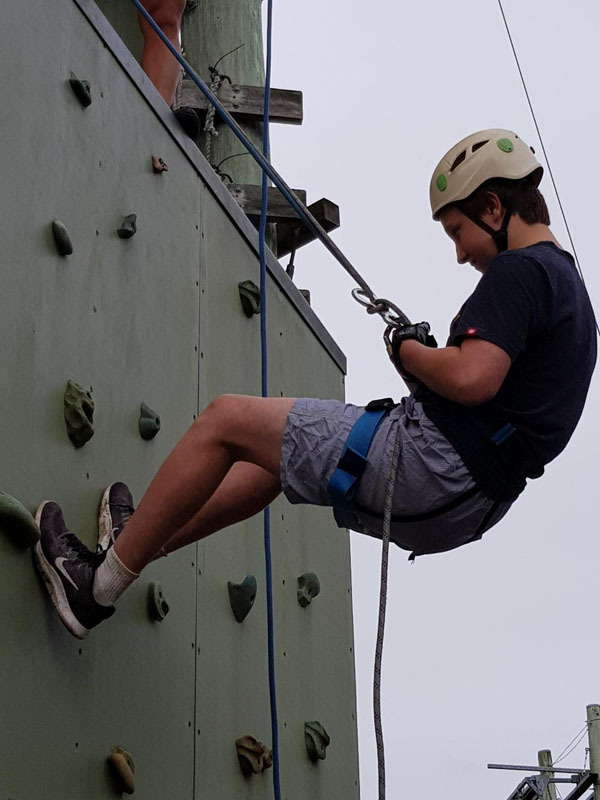 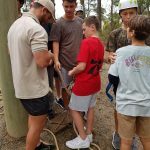 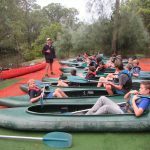 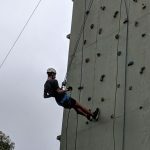 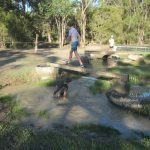 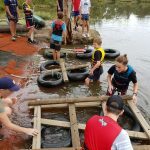 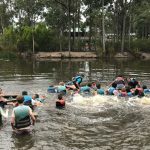 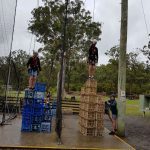 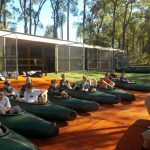 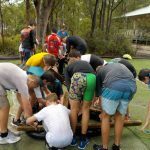 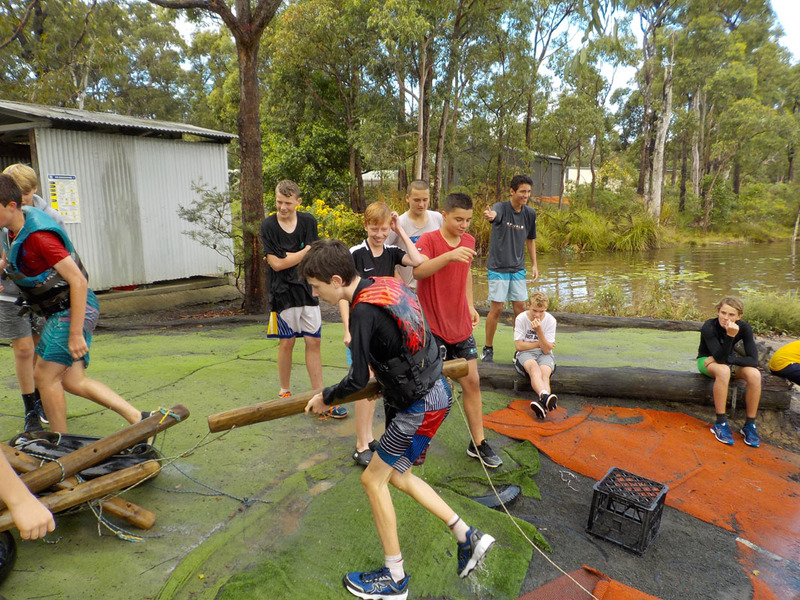 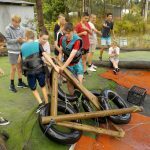 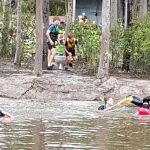 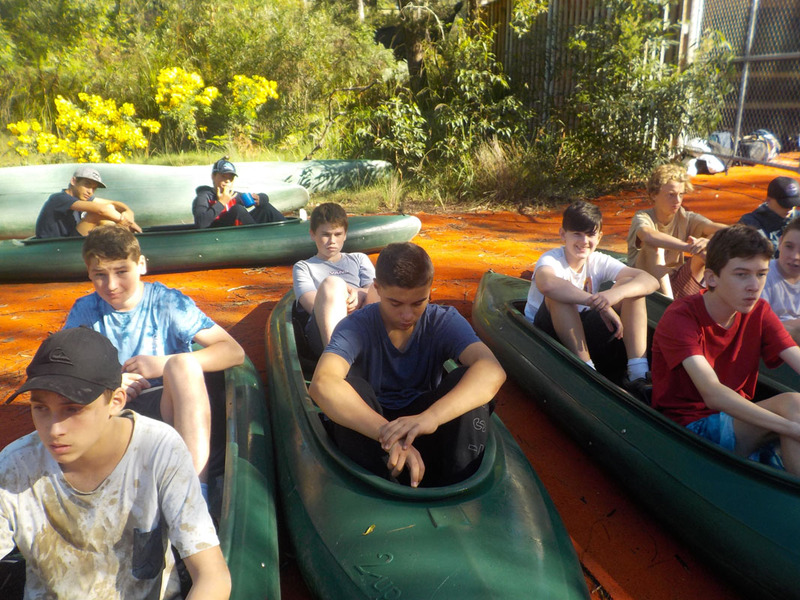 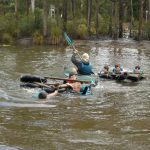 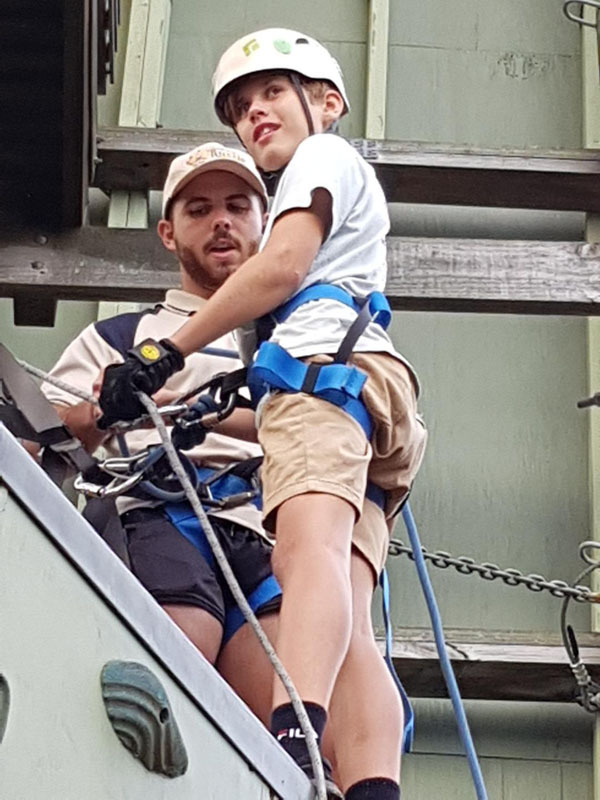 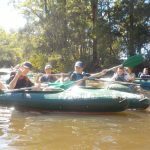 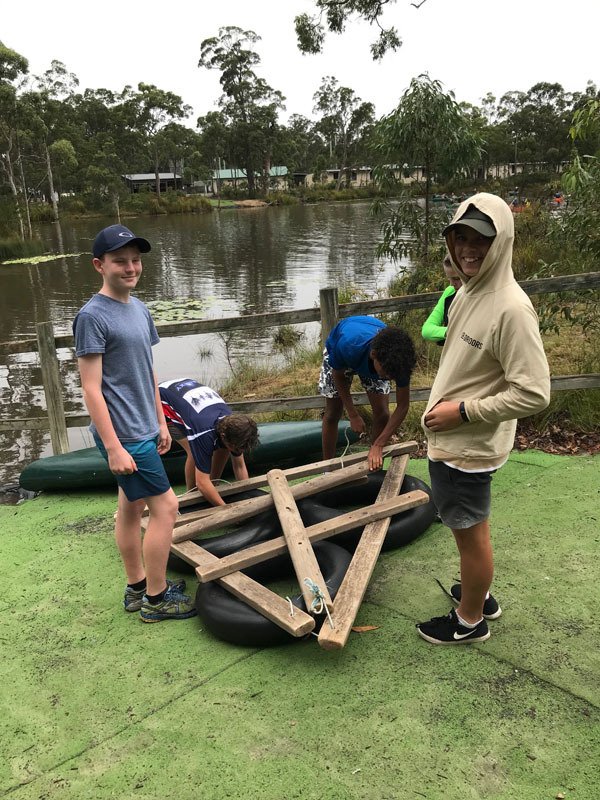 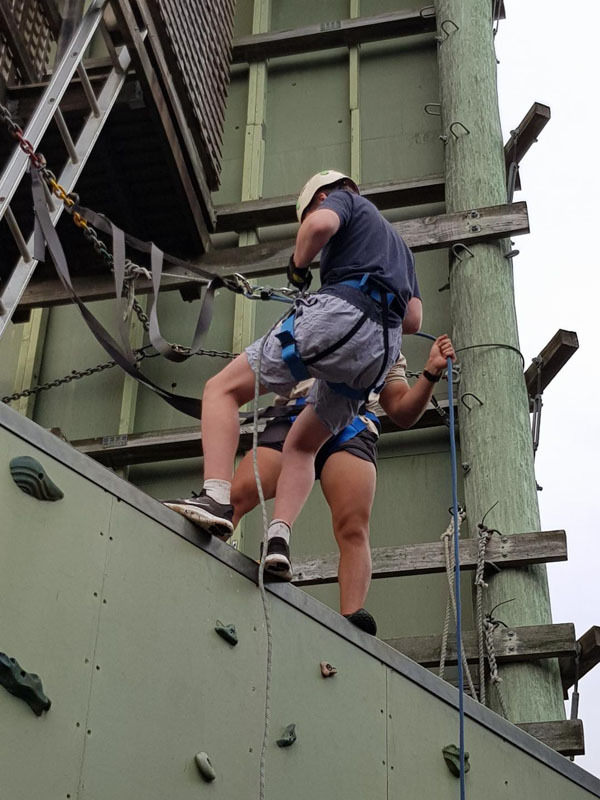 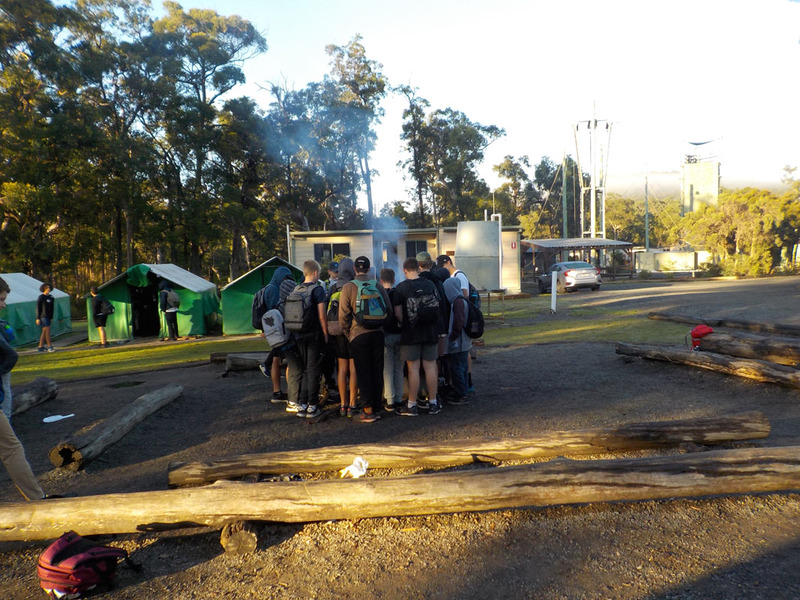 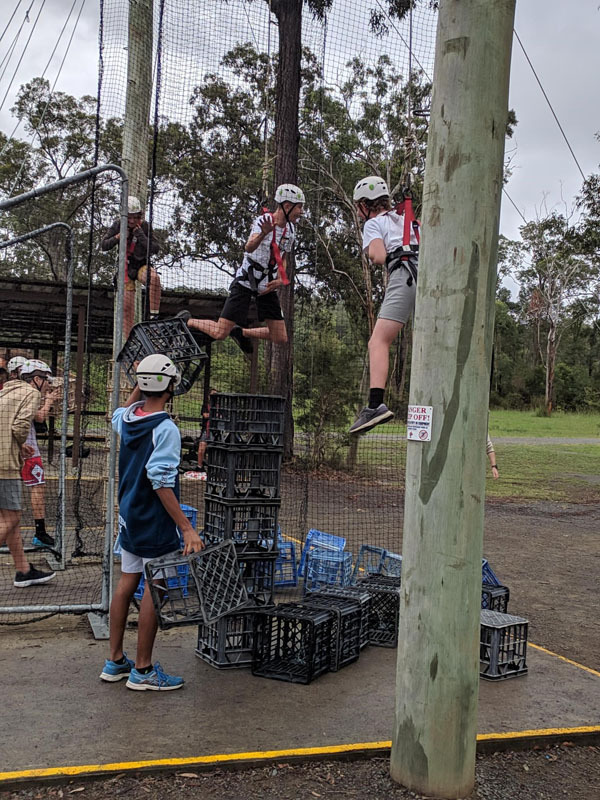 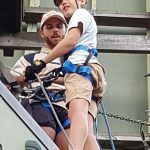 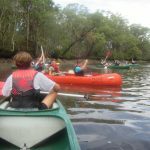 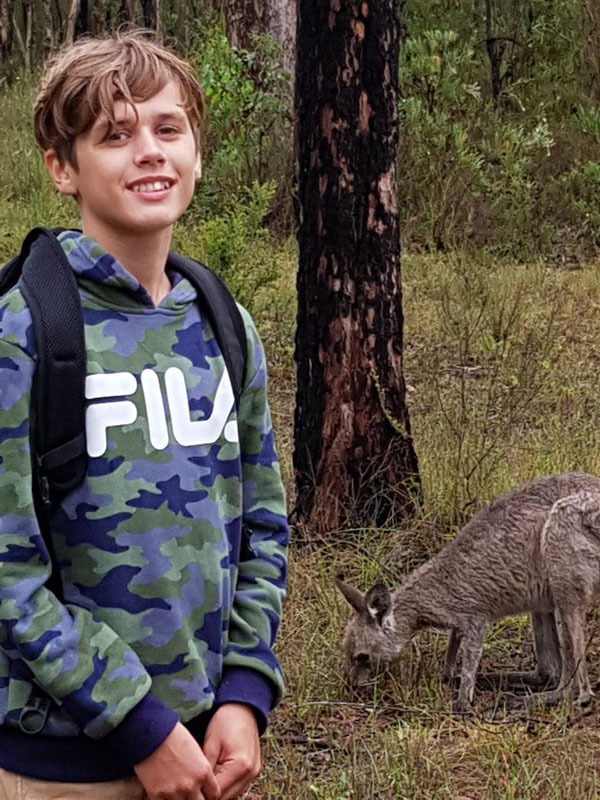 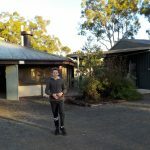 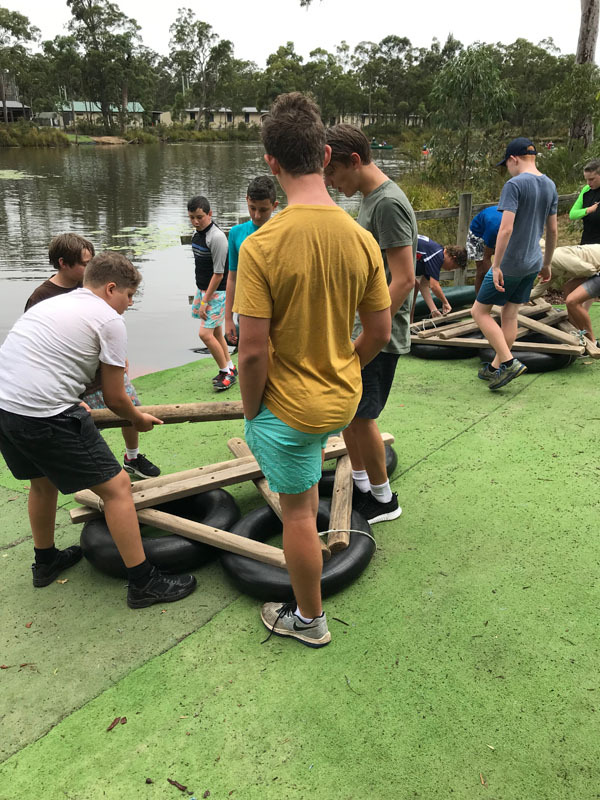 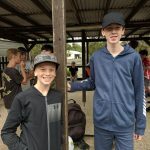 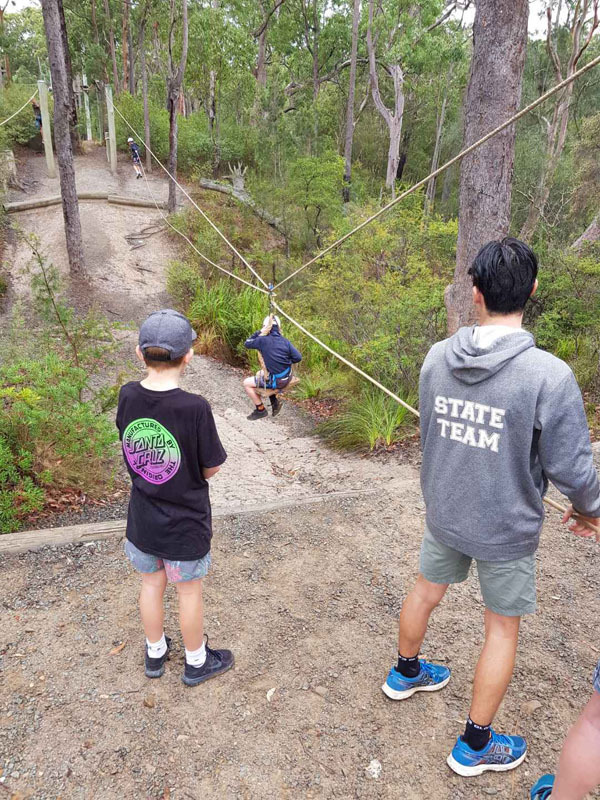 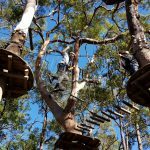 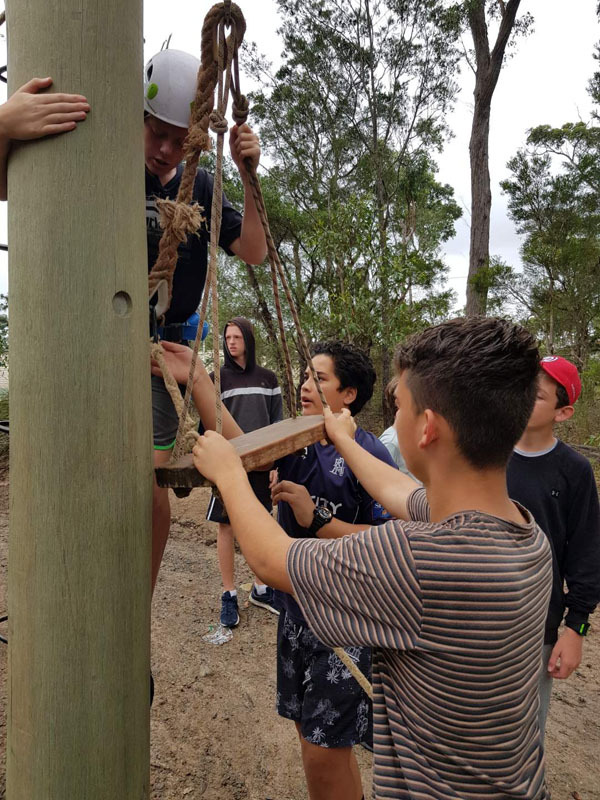 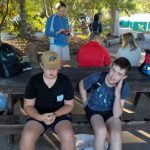 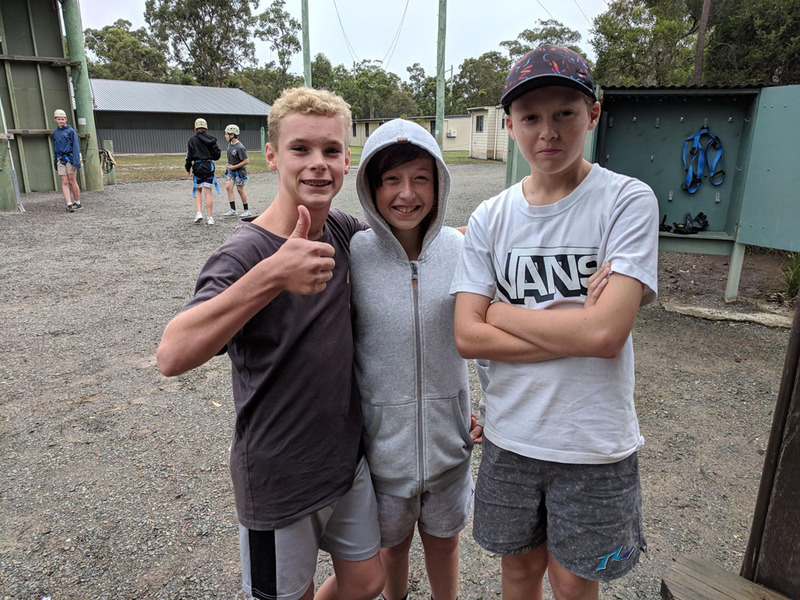 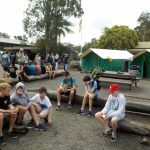 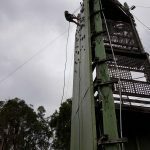 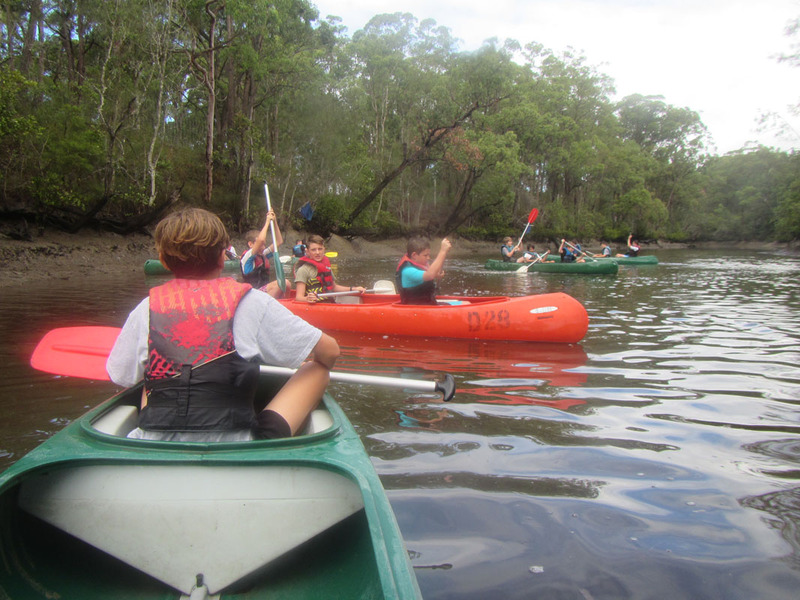 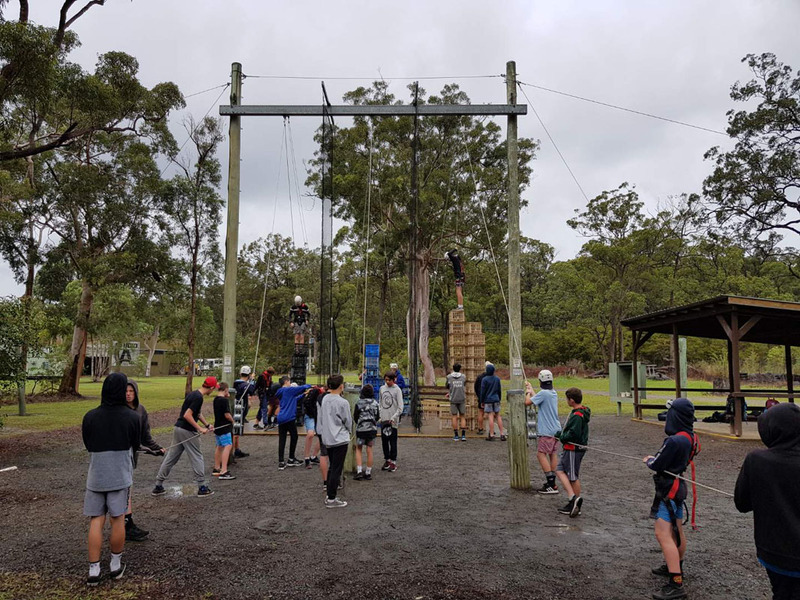 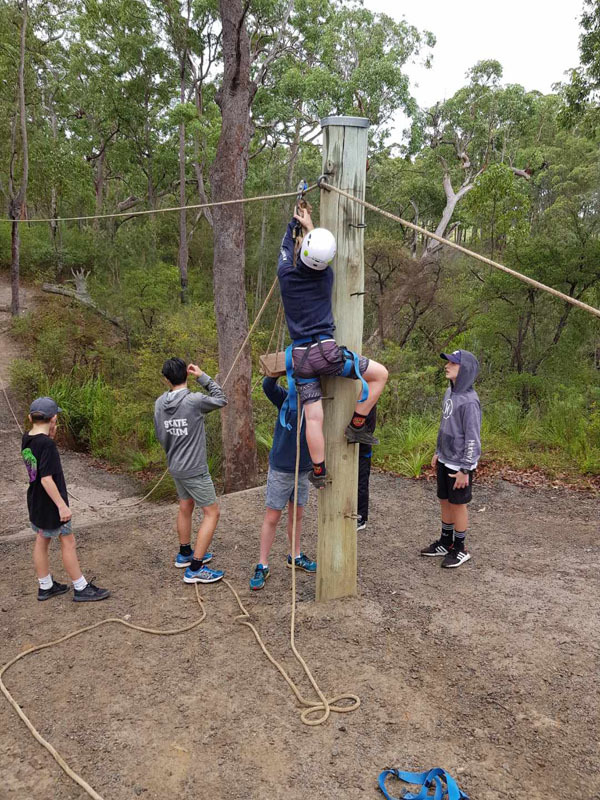 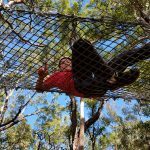 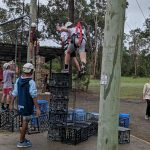 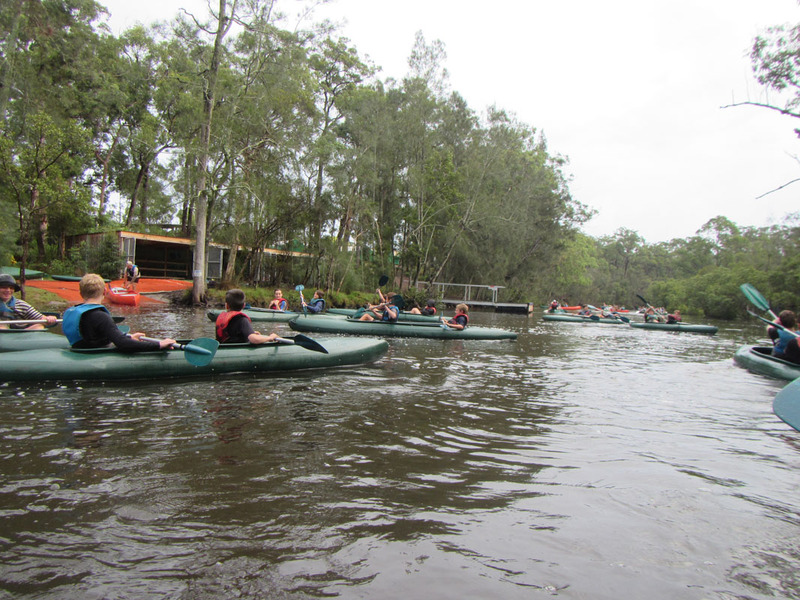 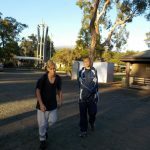 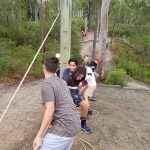 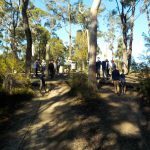 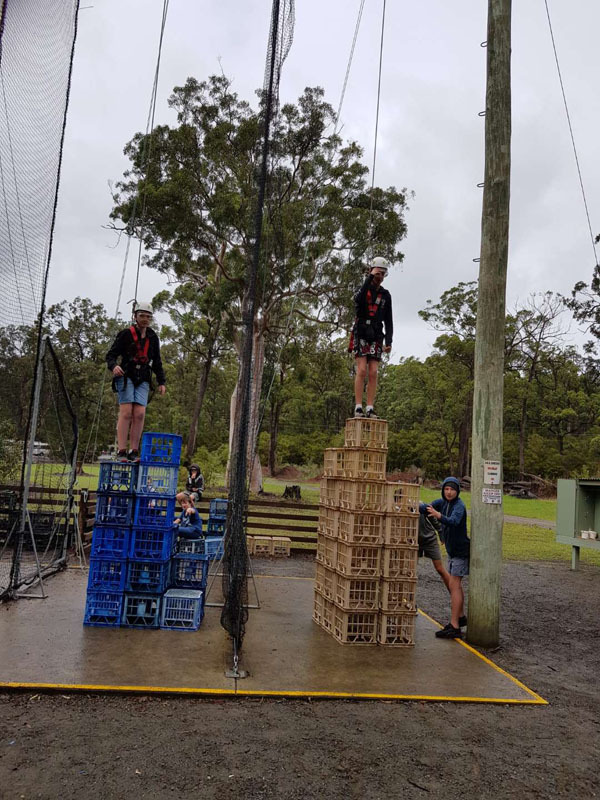 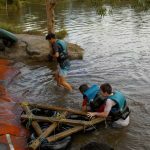 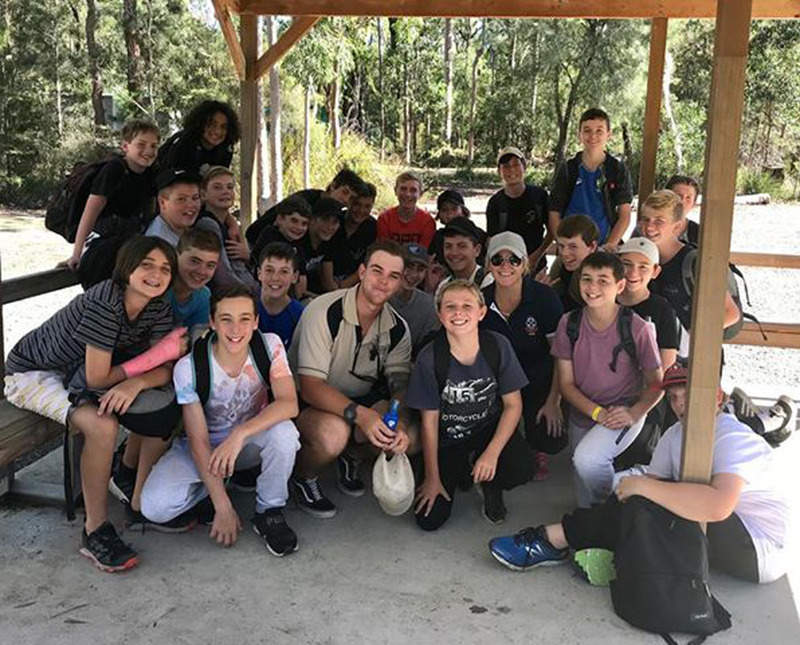 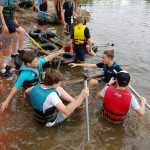 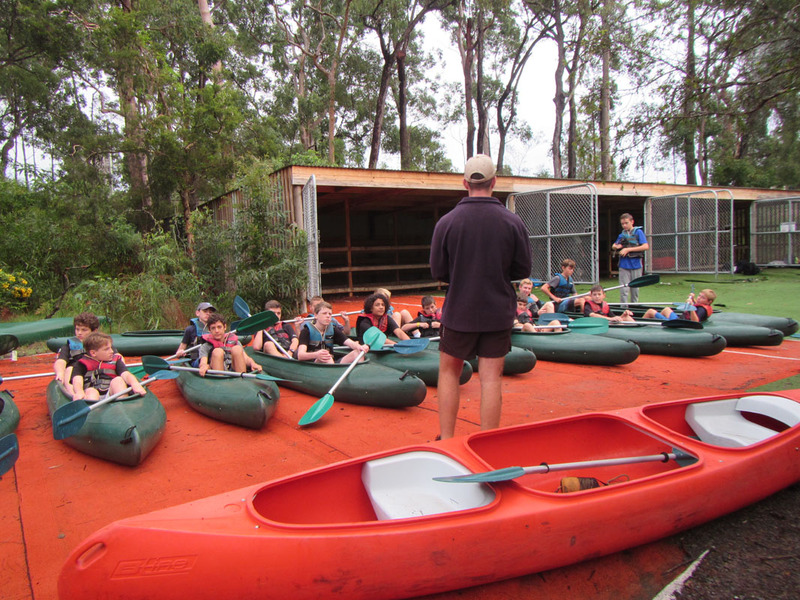 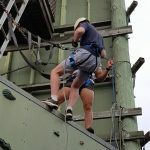 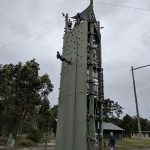 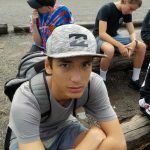 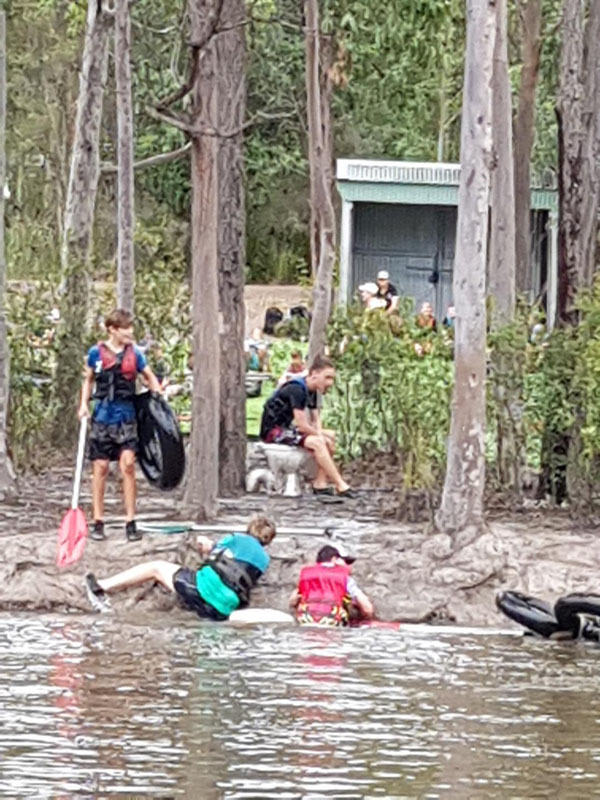 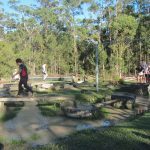 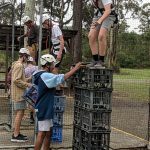 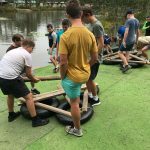 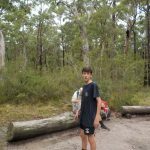 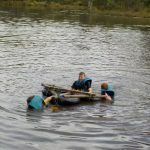 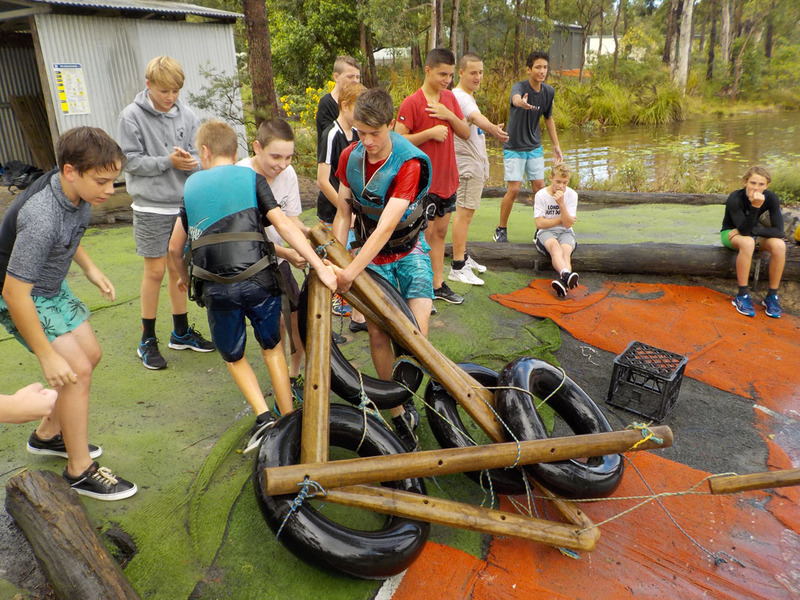 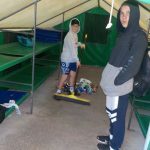 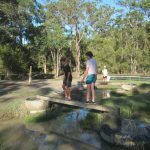 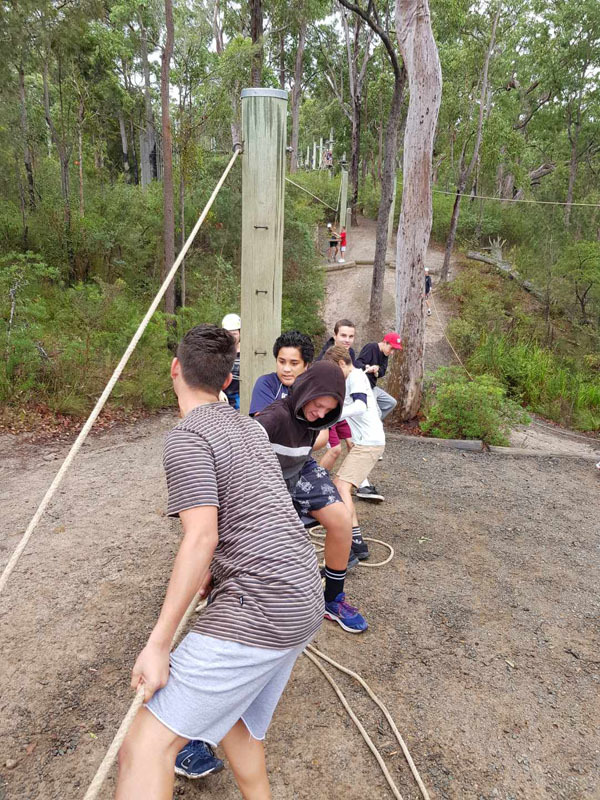 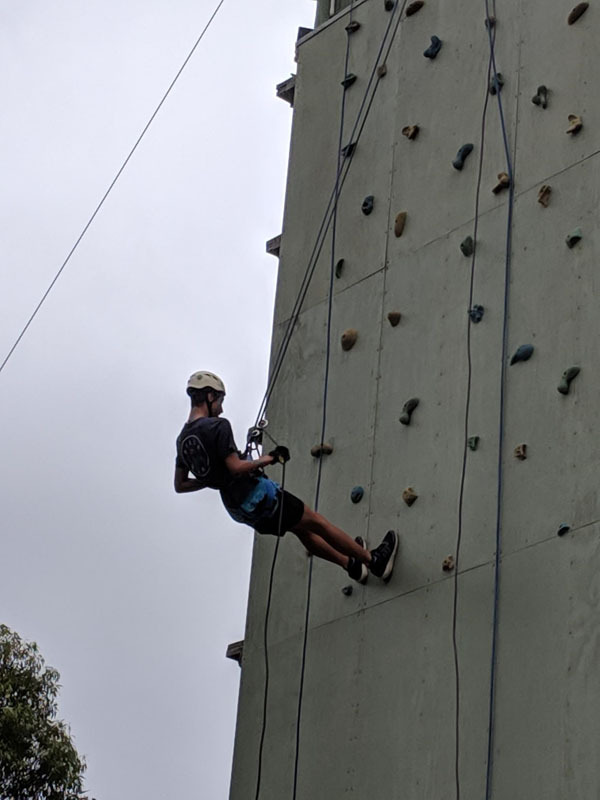 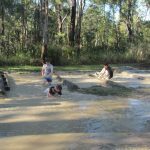 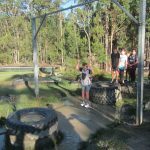 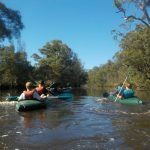 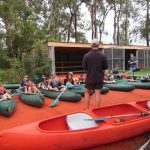 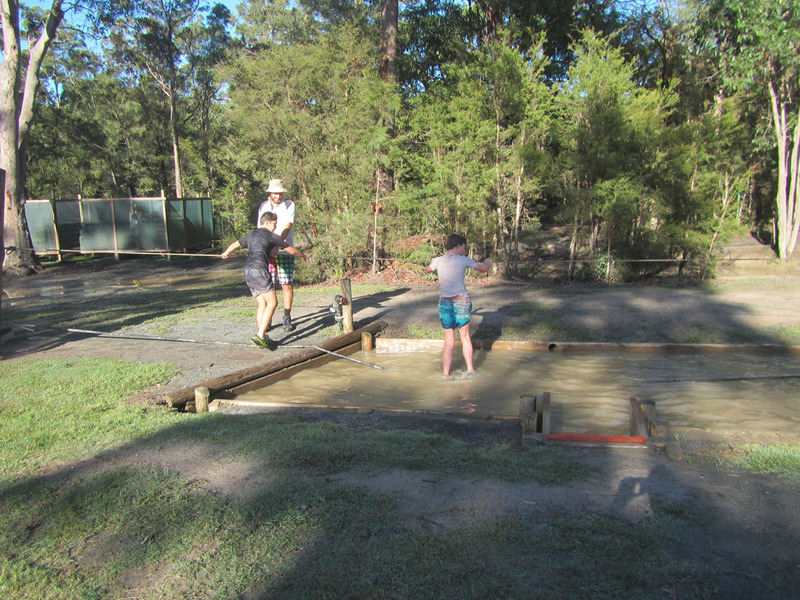 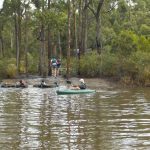 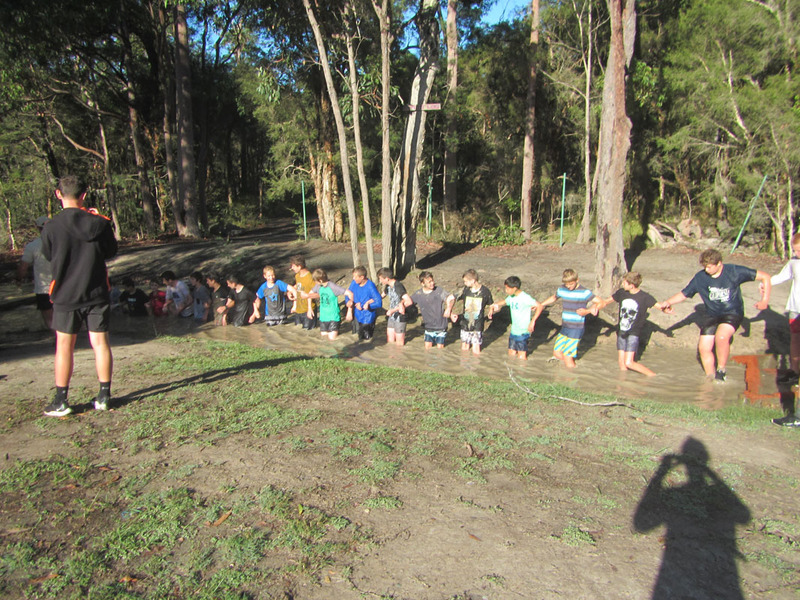 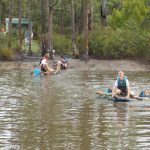 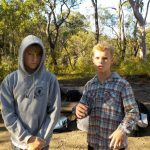 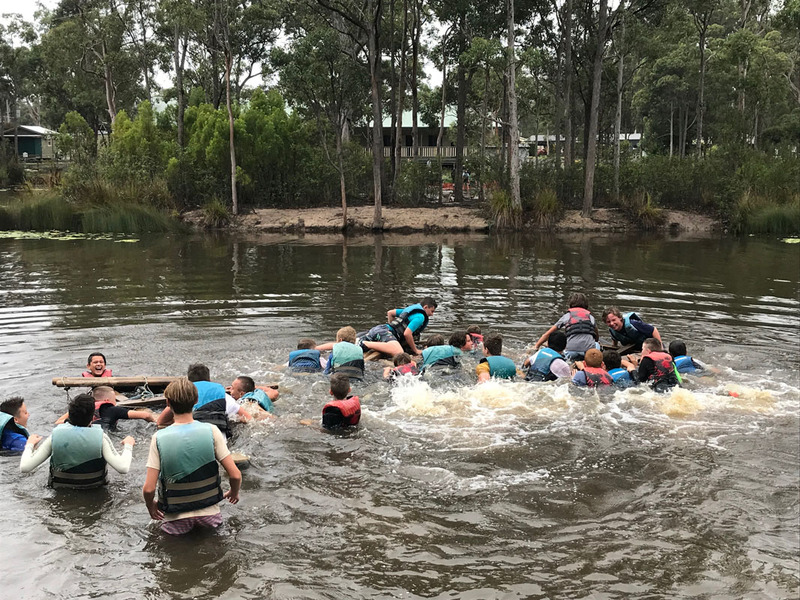 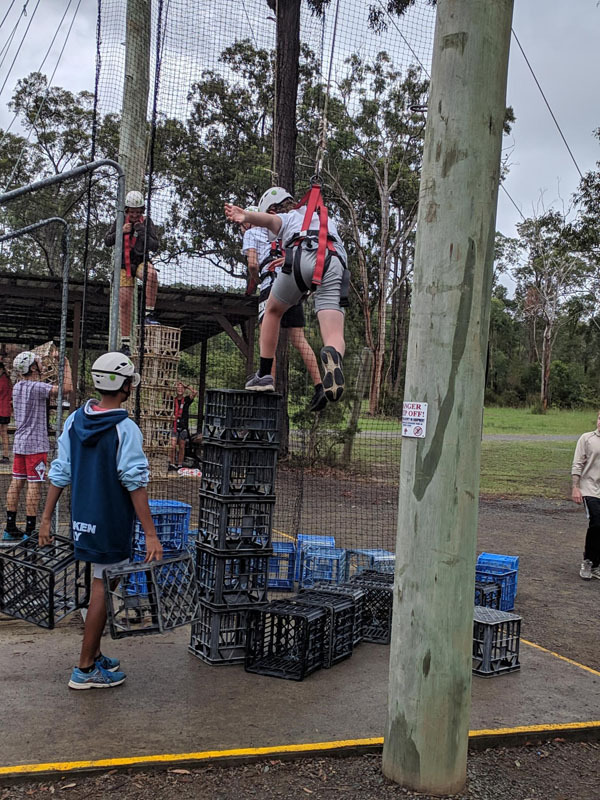 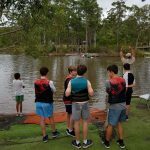 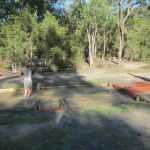 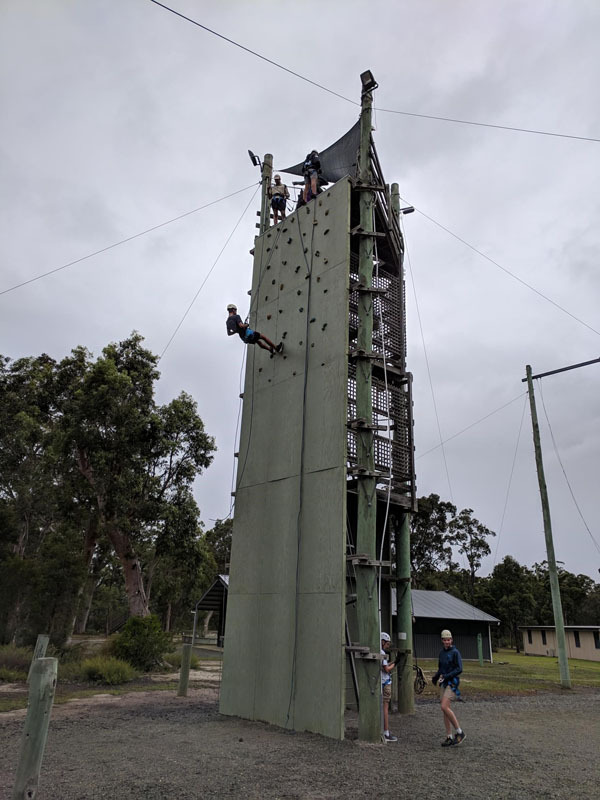 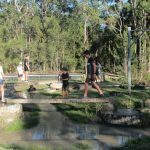 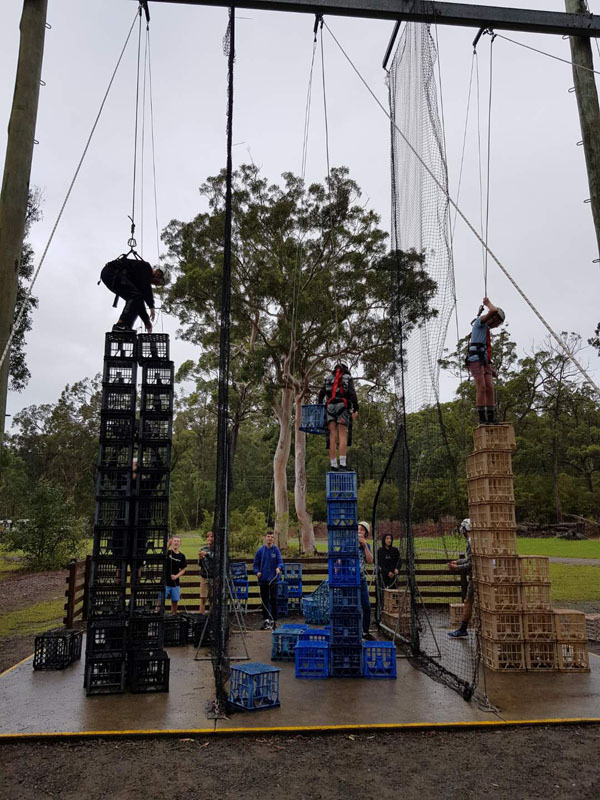 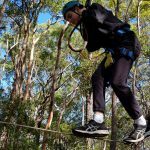 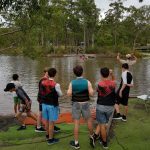 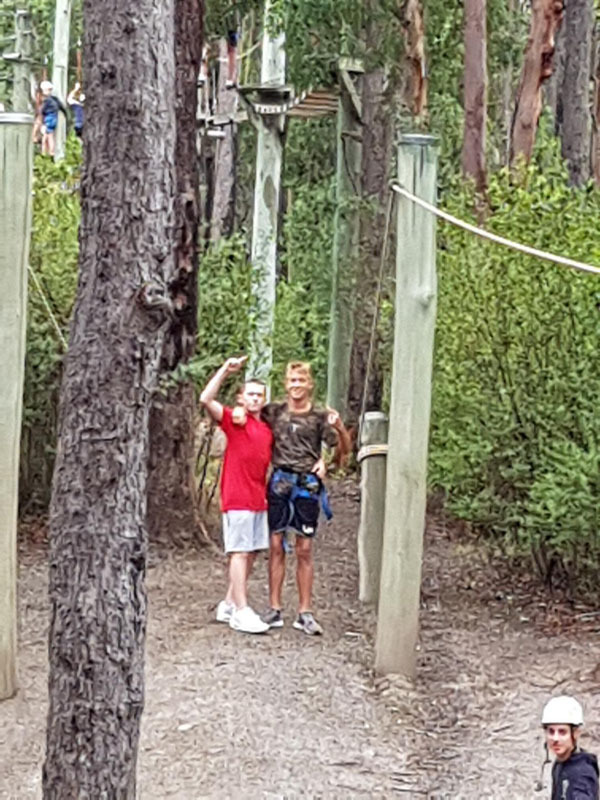 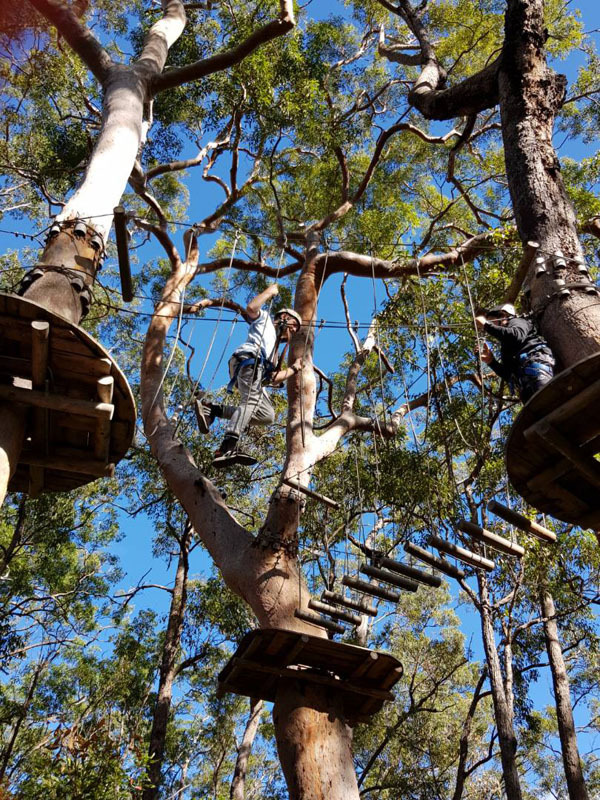 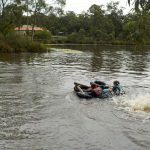 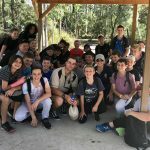 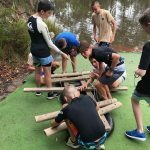 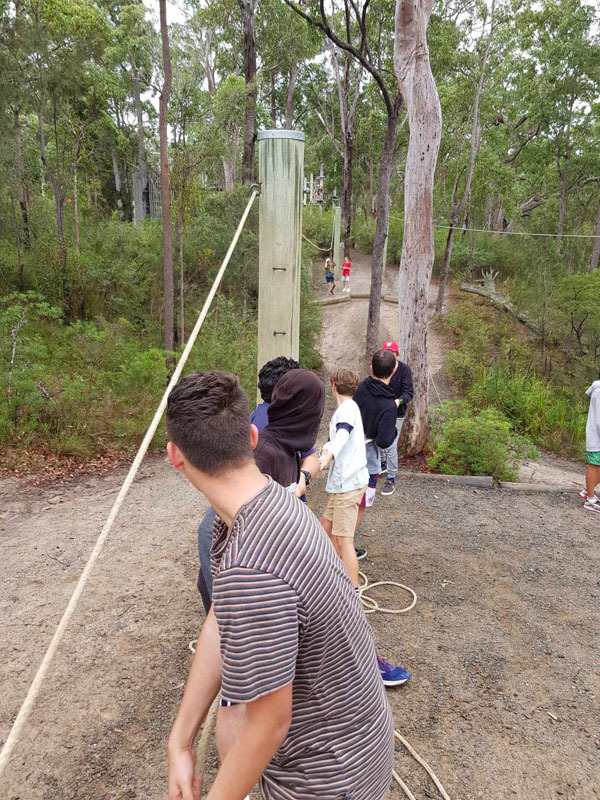 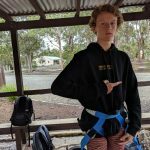 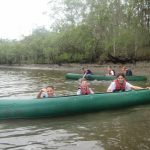 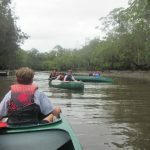 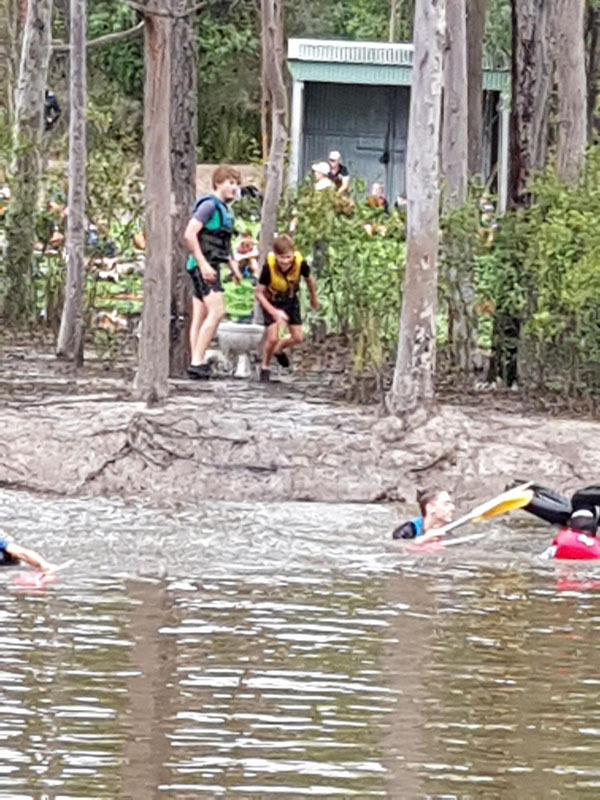 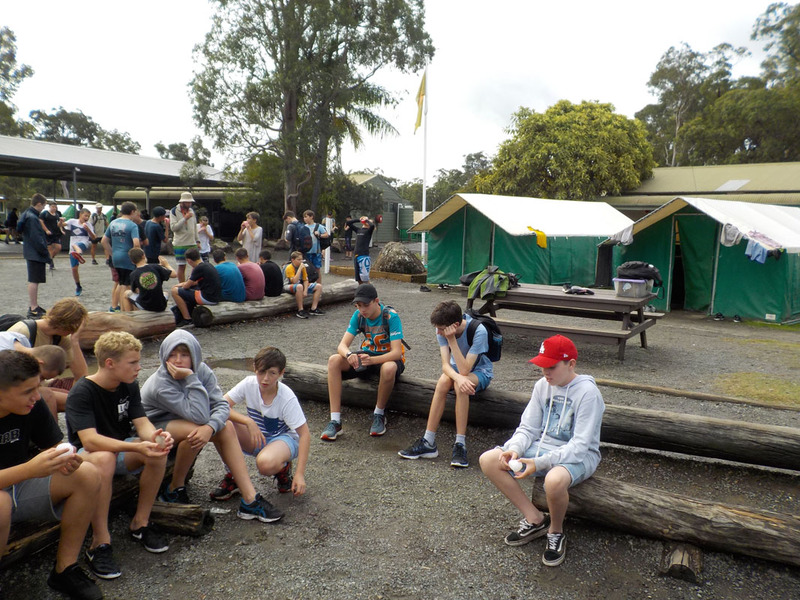 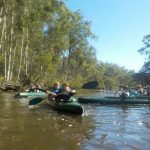 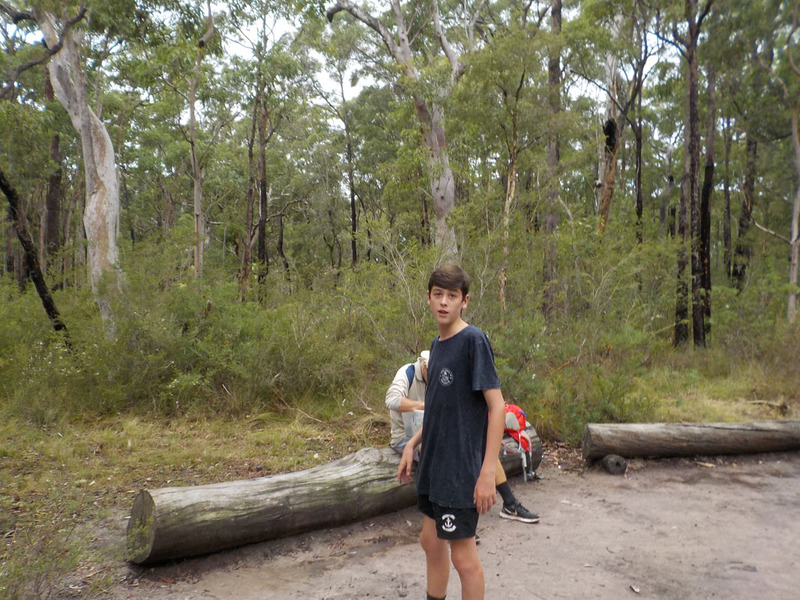 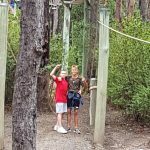 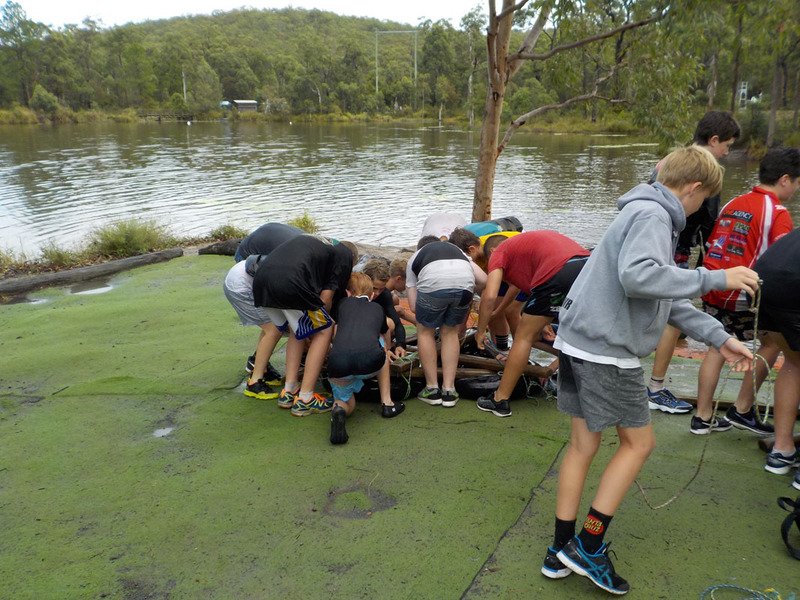 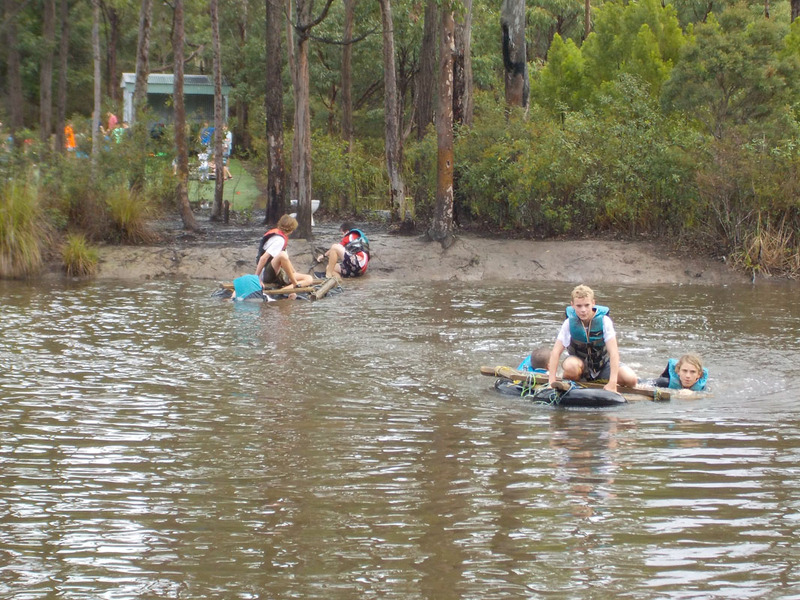 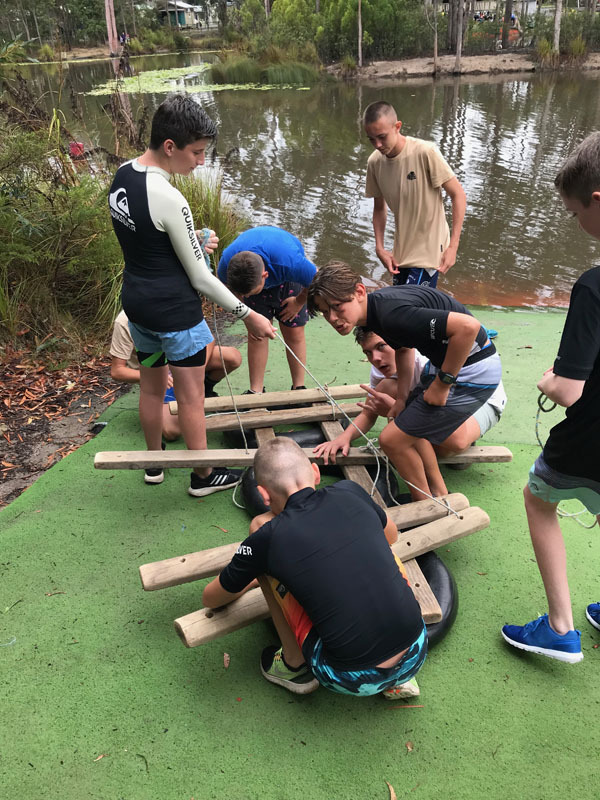 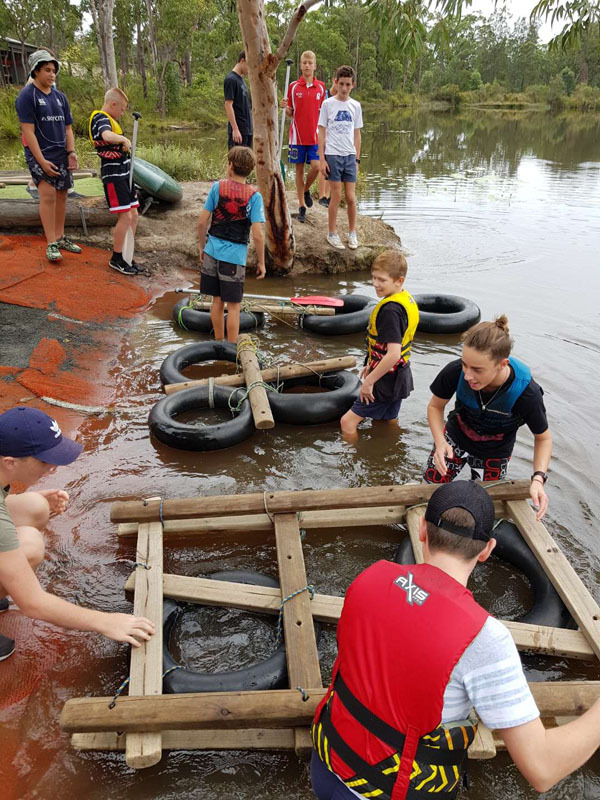 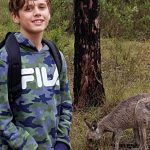 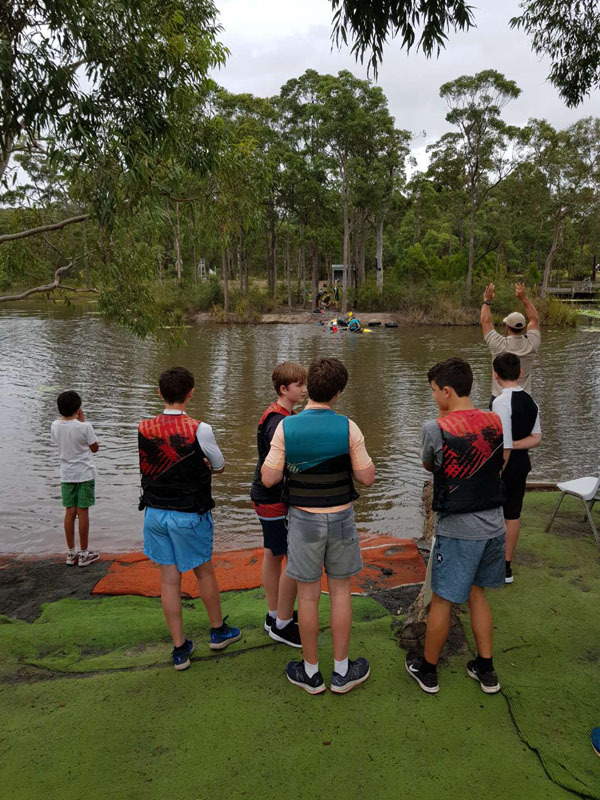 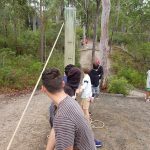 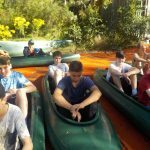 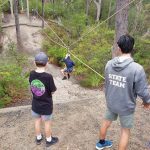 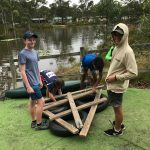 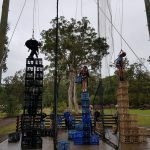 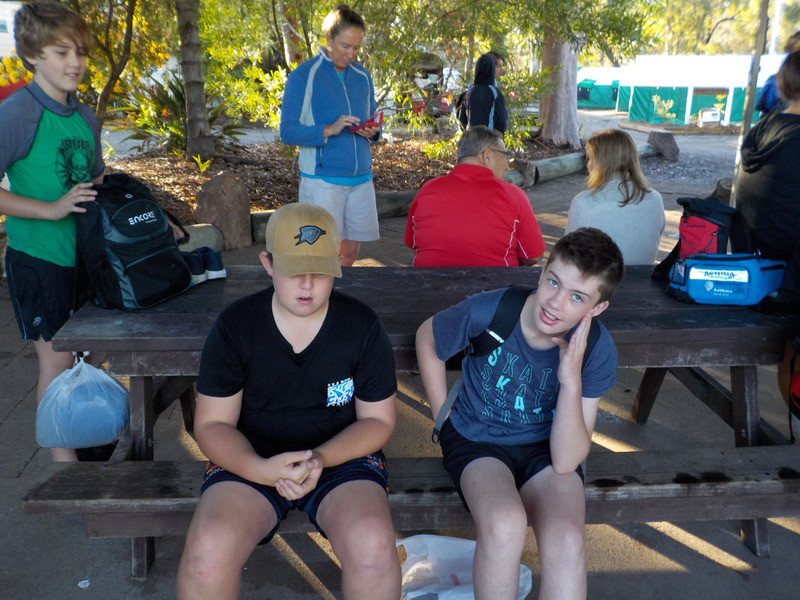 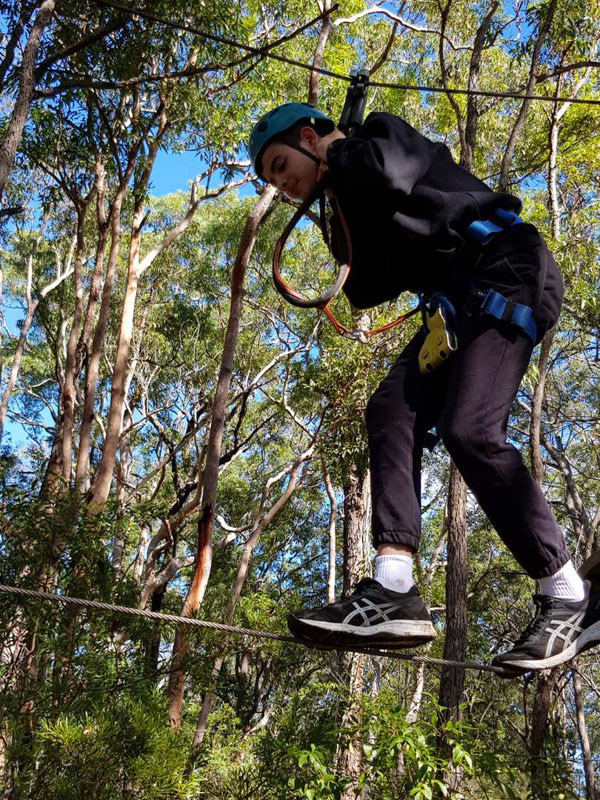 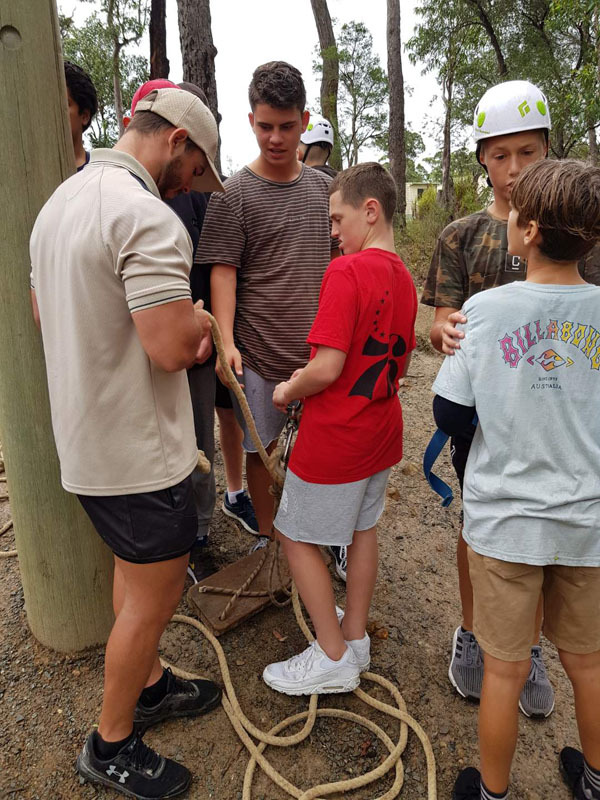 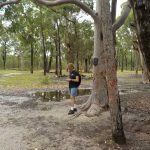 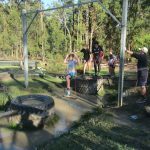 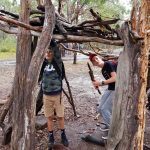 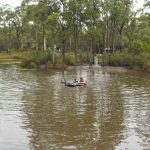 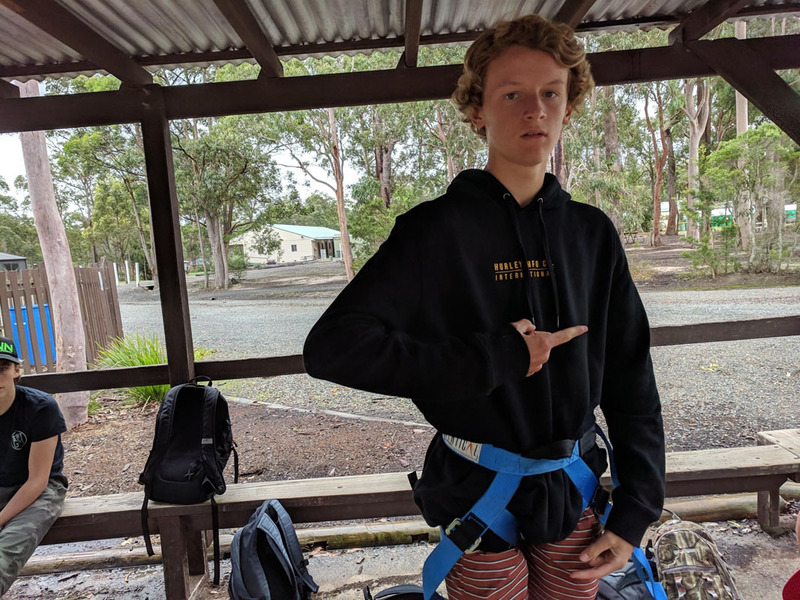 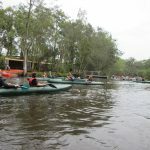 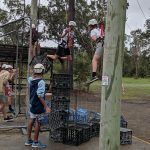 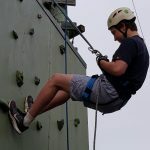 Food was abundant and activities varied, there were high ropes, orienteering, the crate climb, canoeing, abseiling, kayaking, Lost Island and raft building for the boys to hone their skills on. 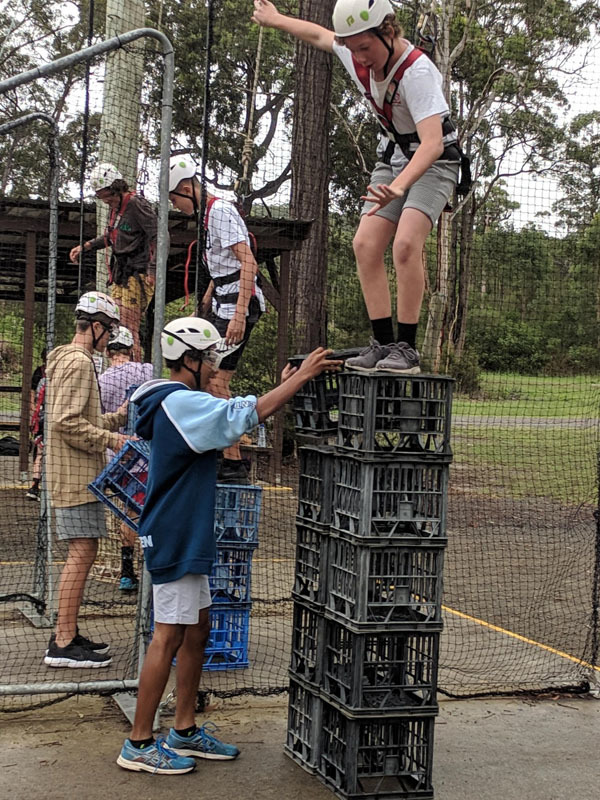 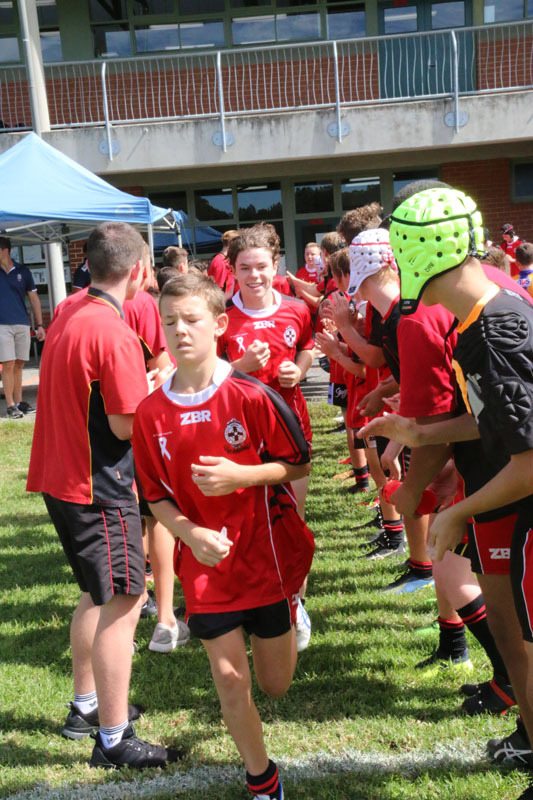 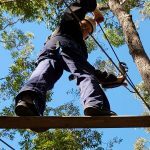 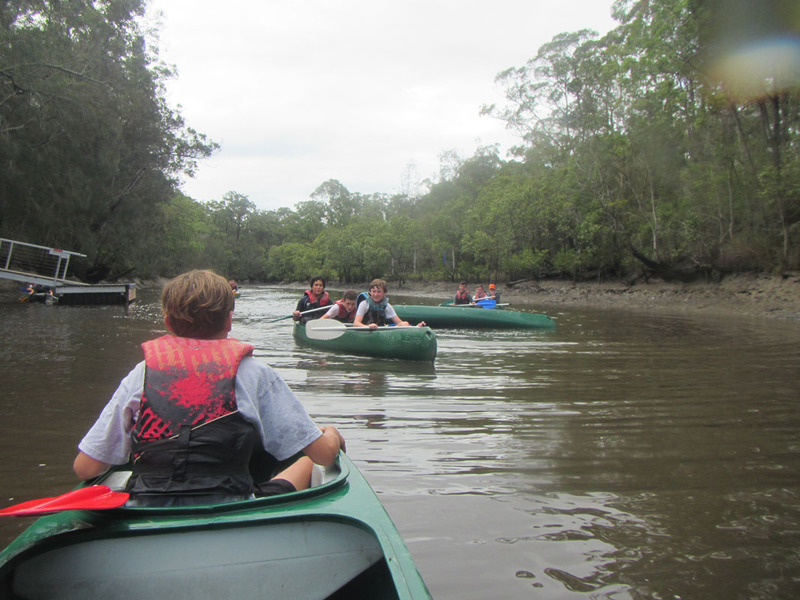 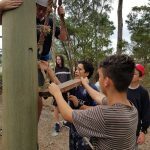 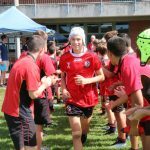 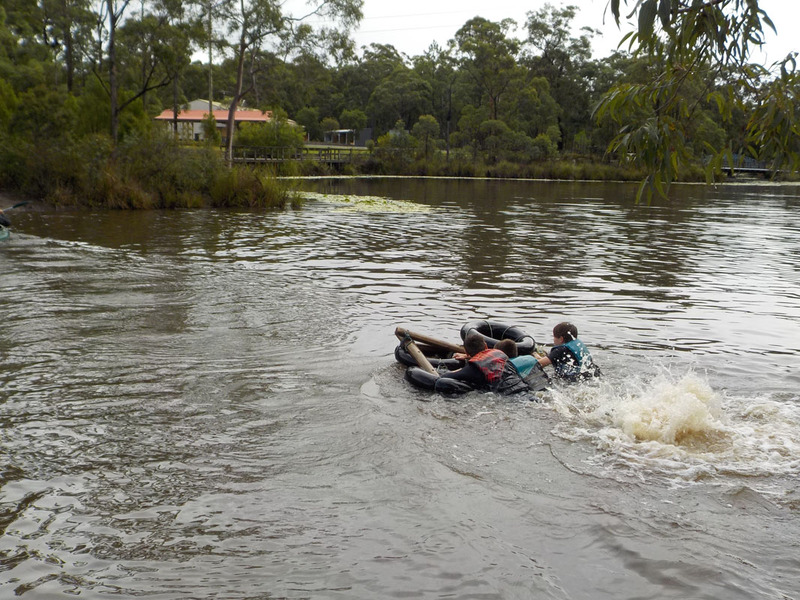 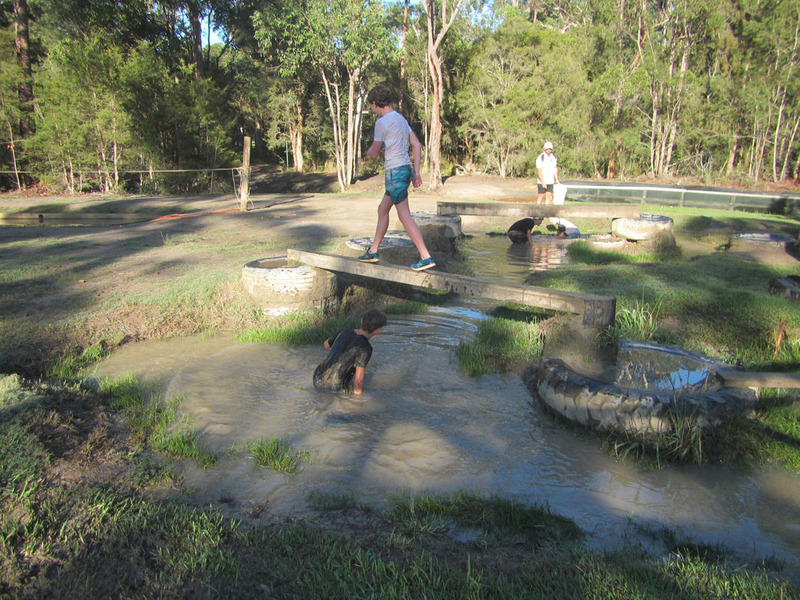 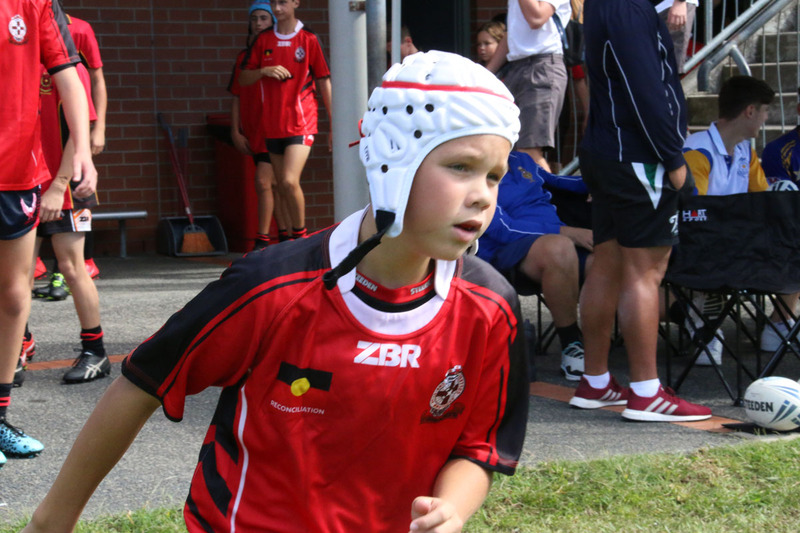 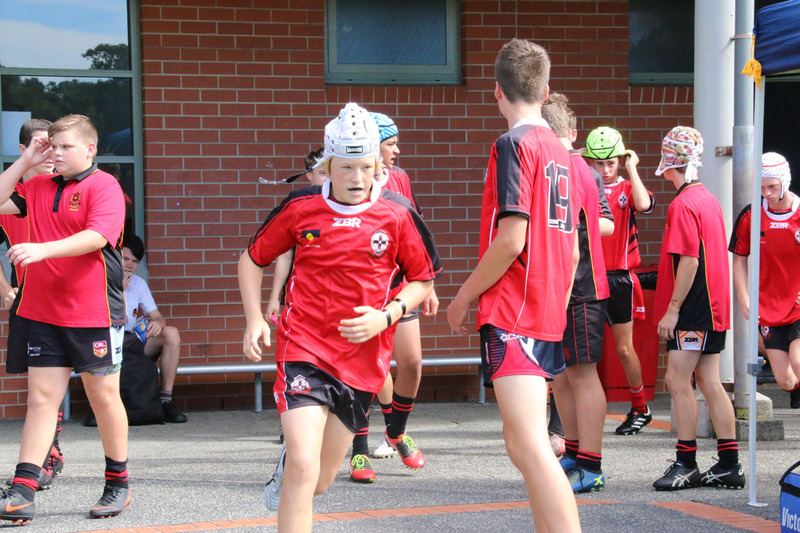 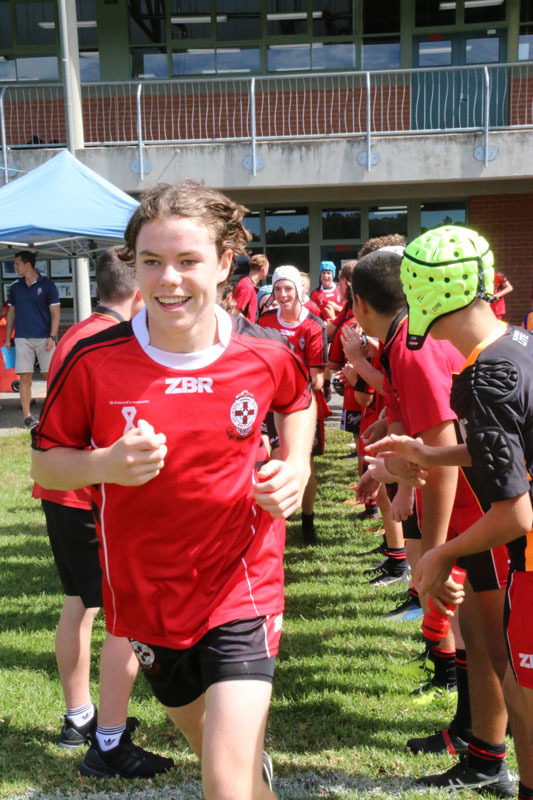 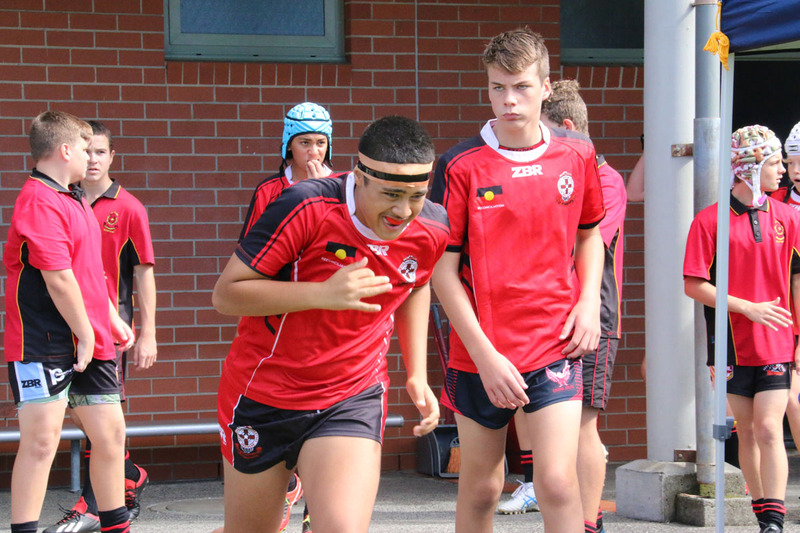 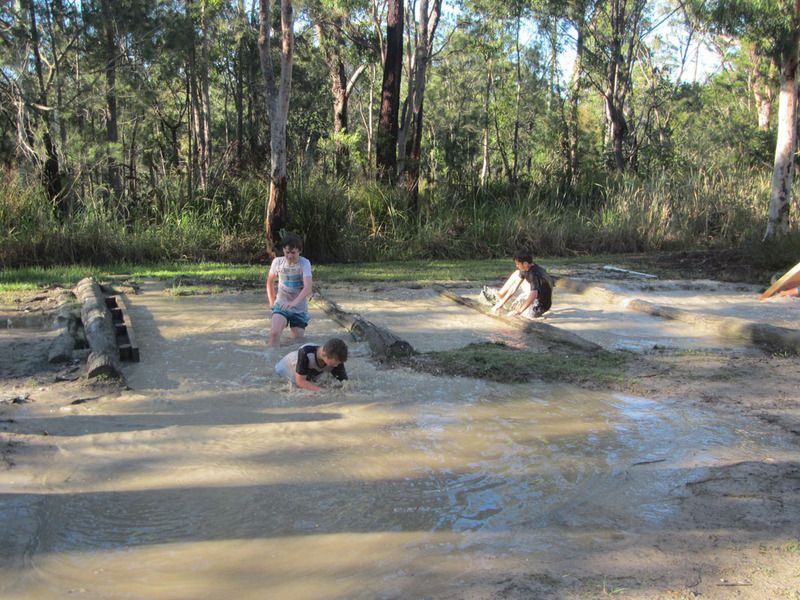 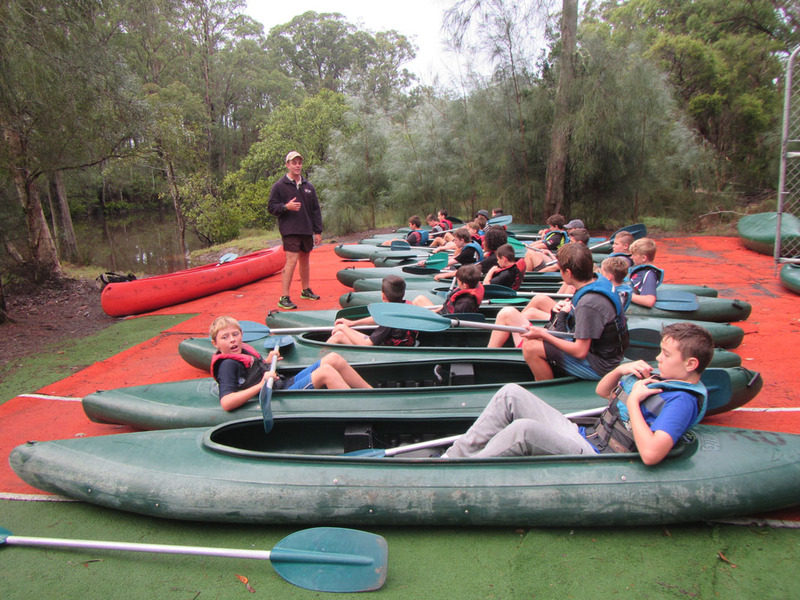 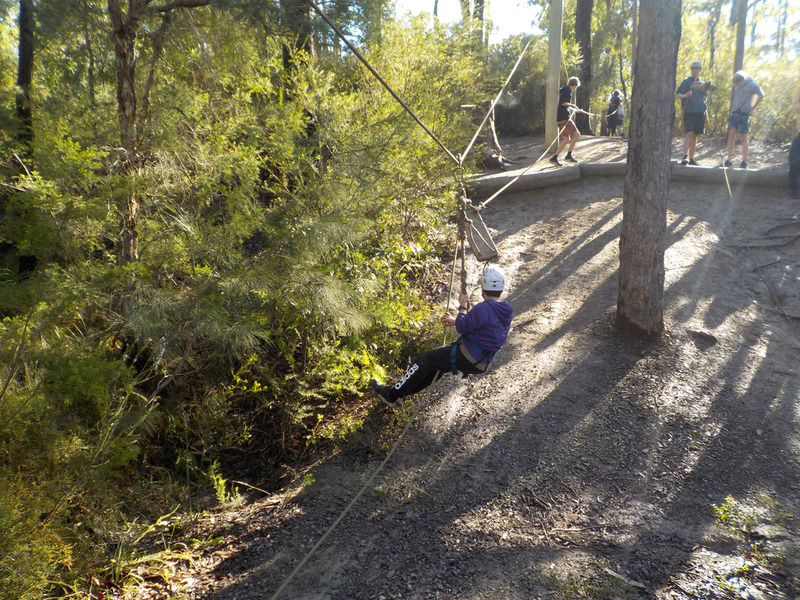 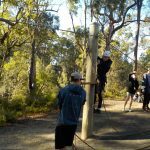 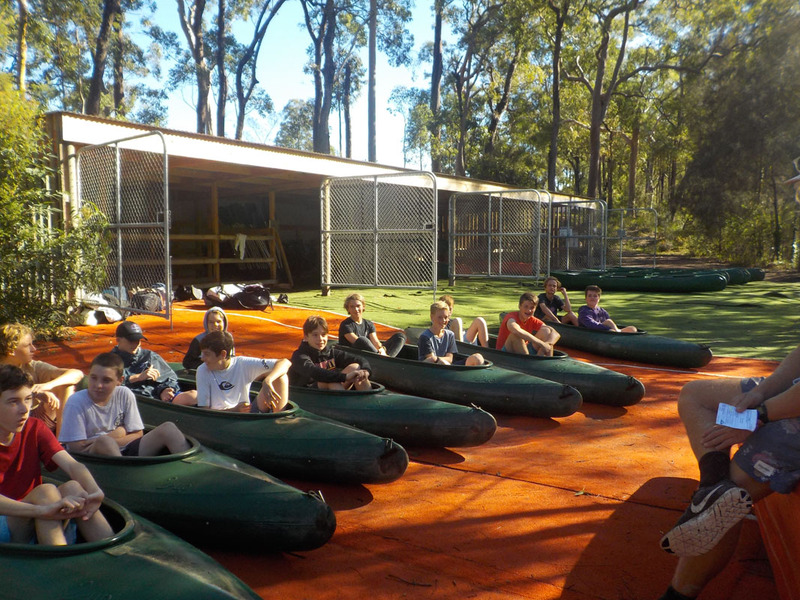 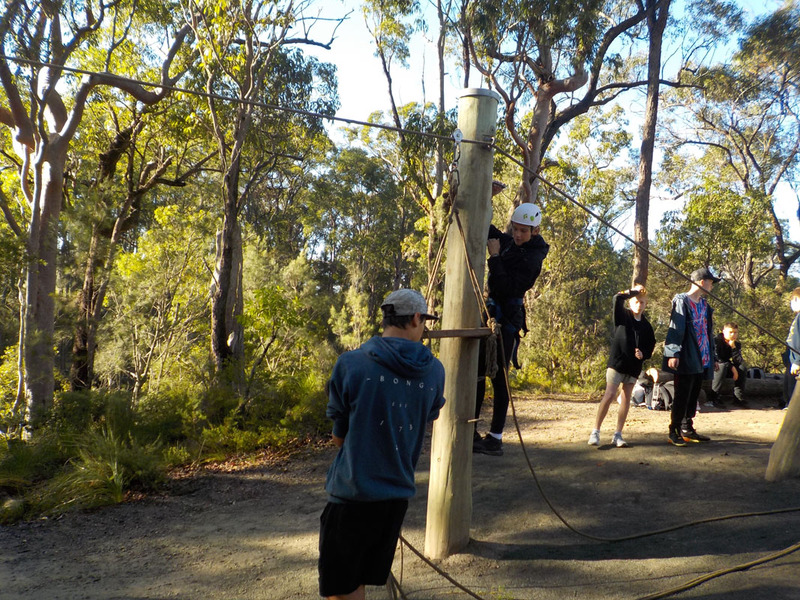 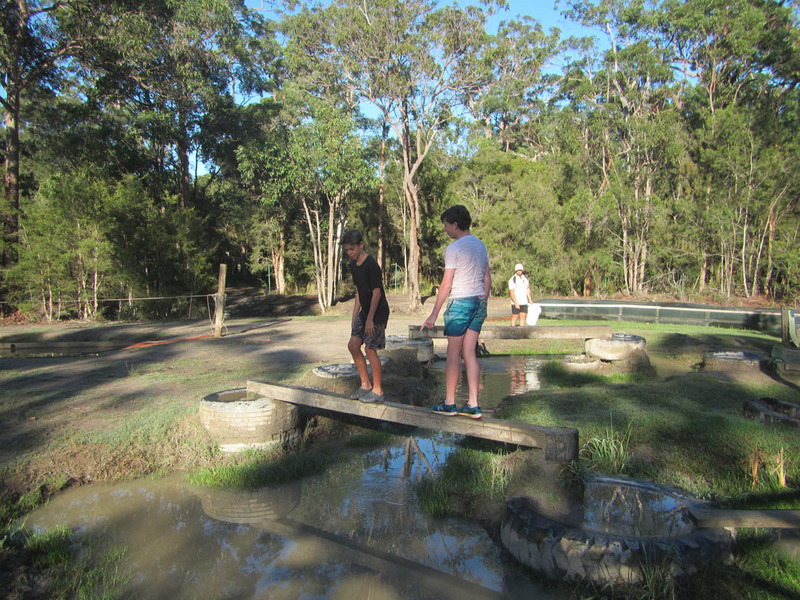 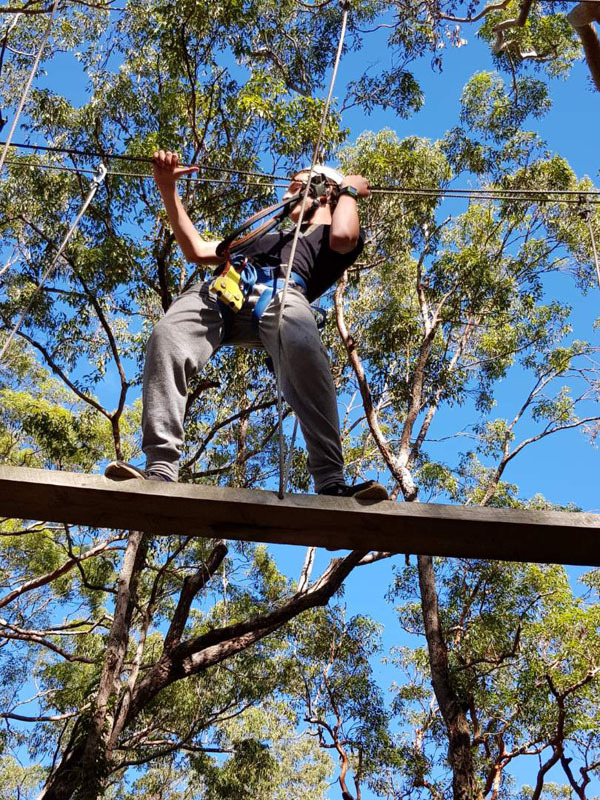 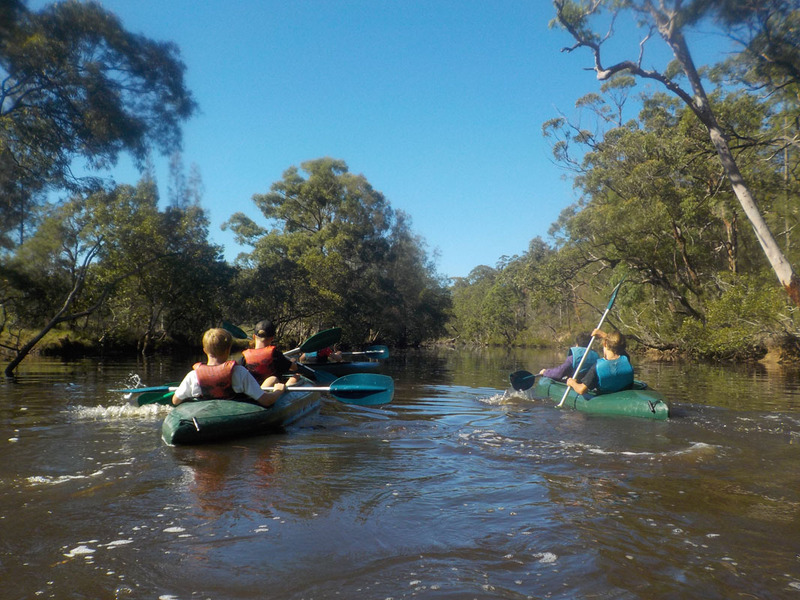 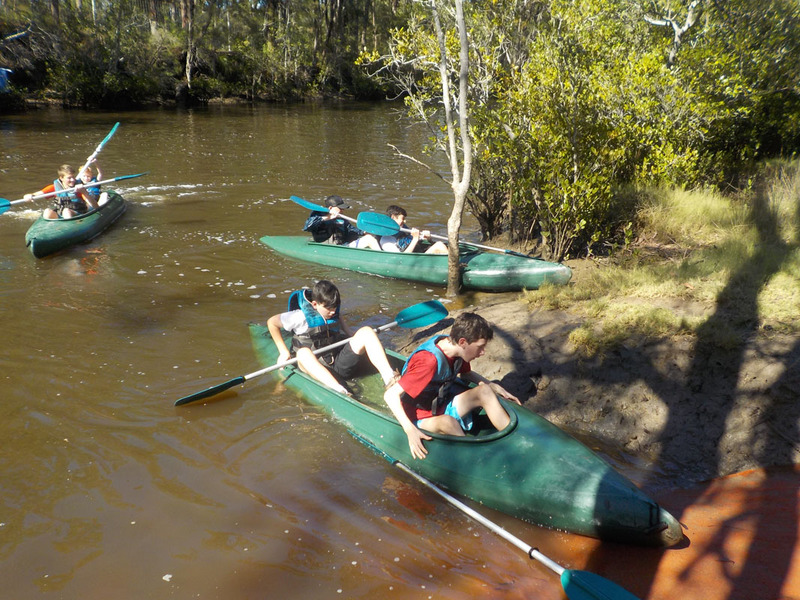 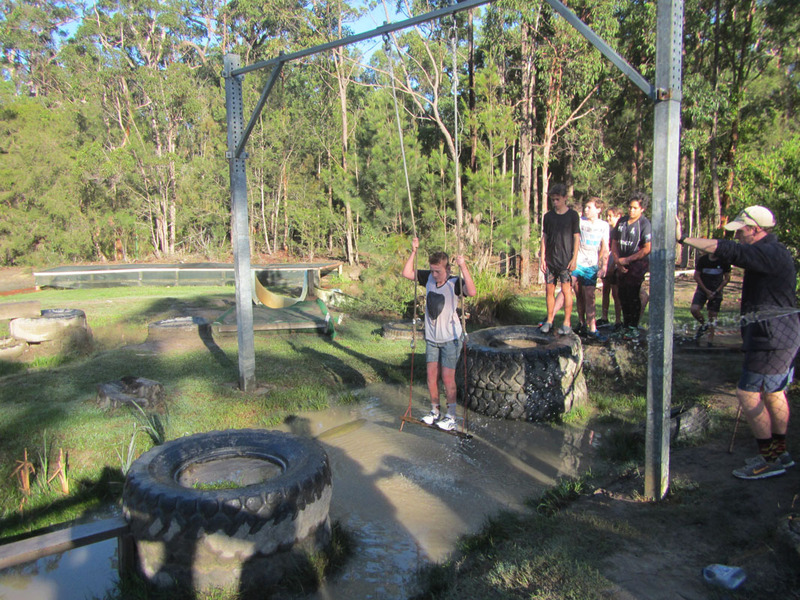 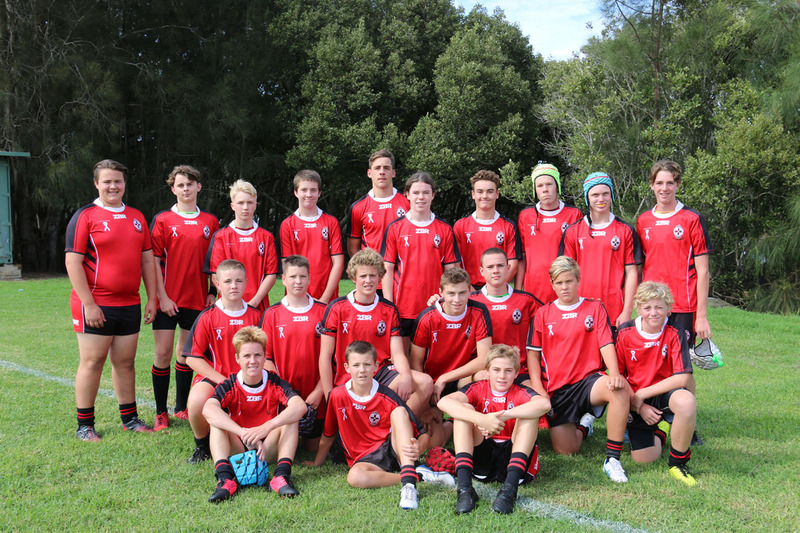 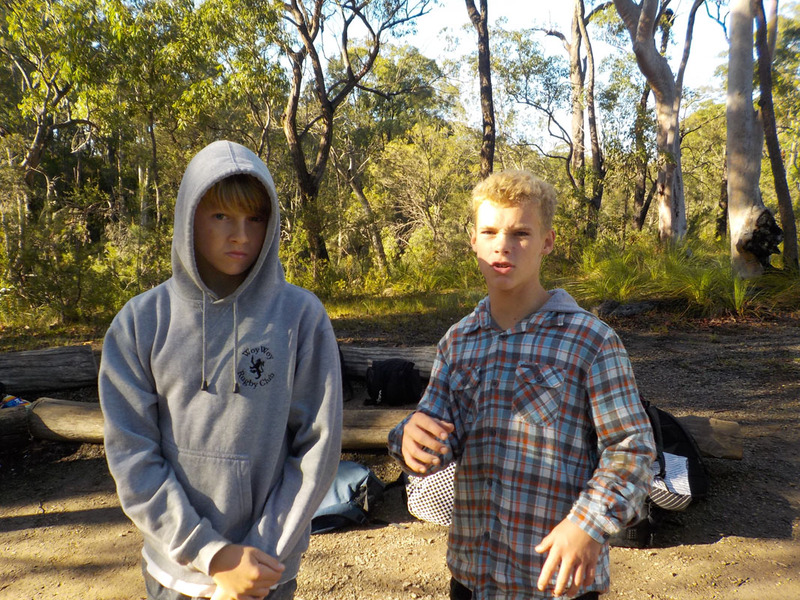 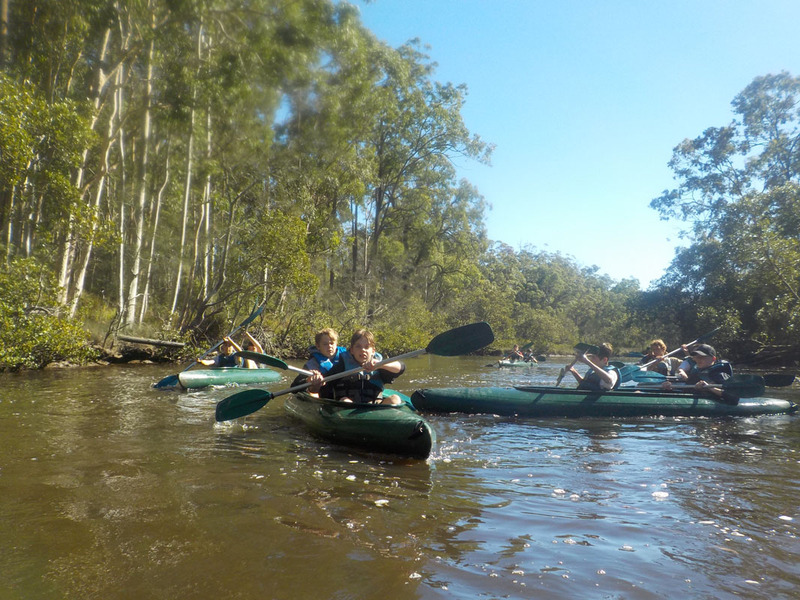 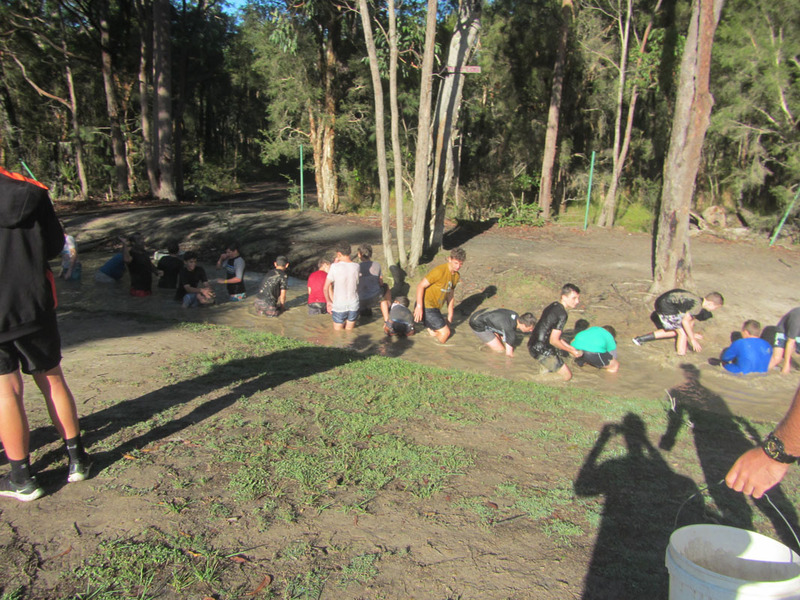 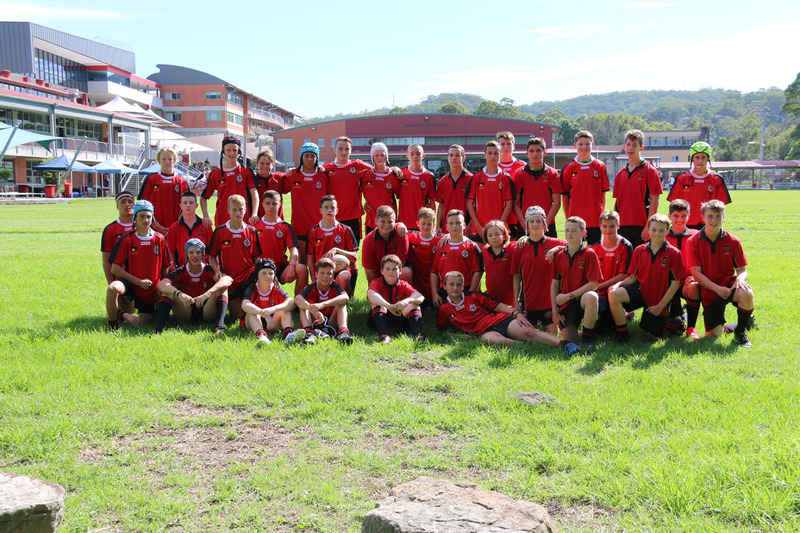 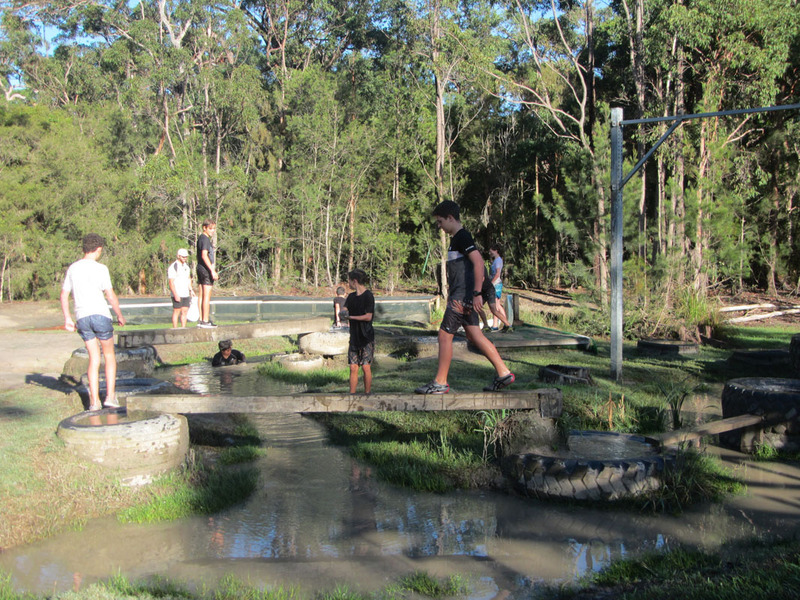 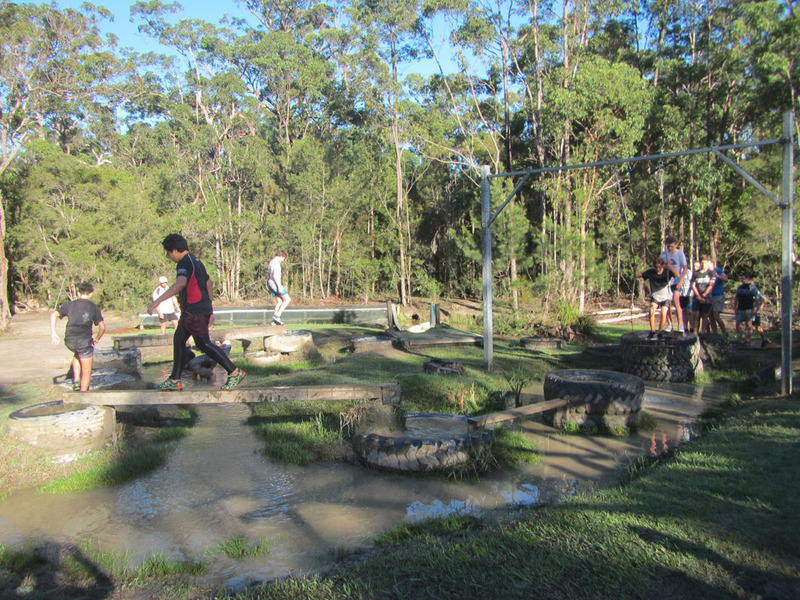 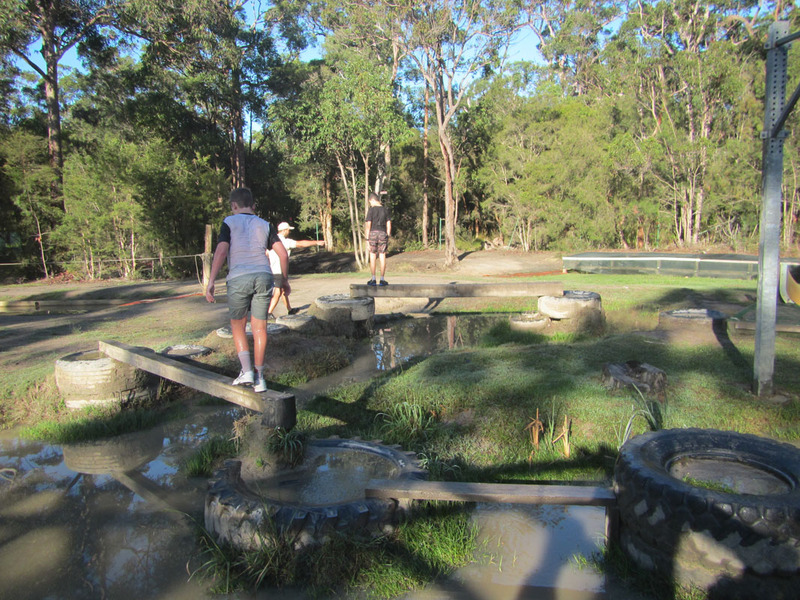 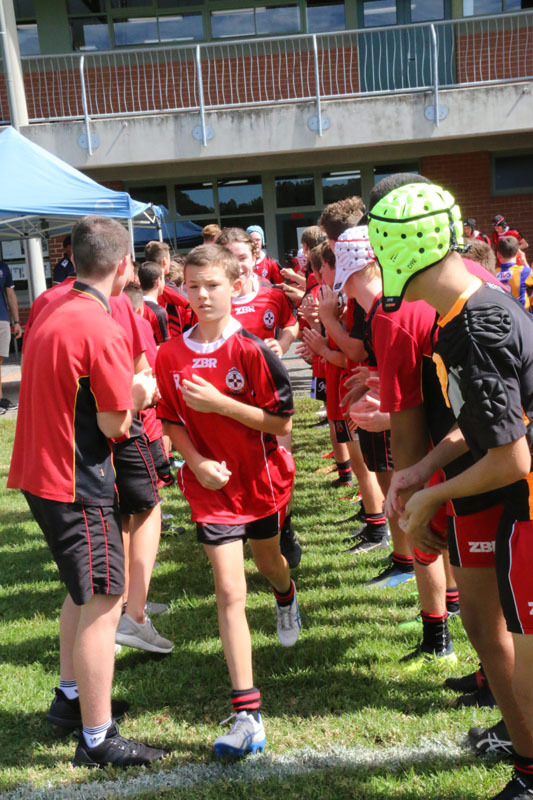 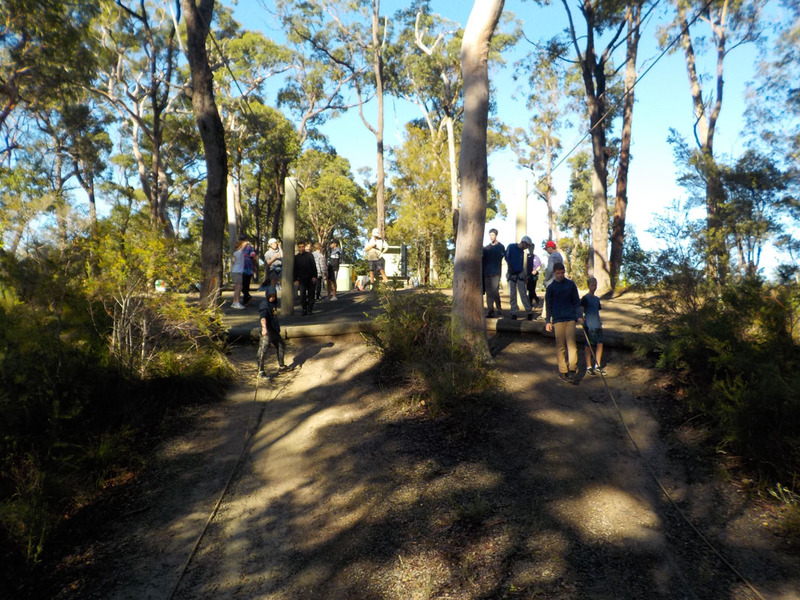 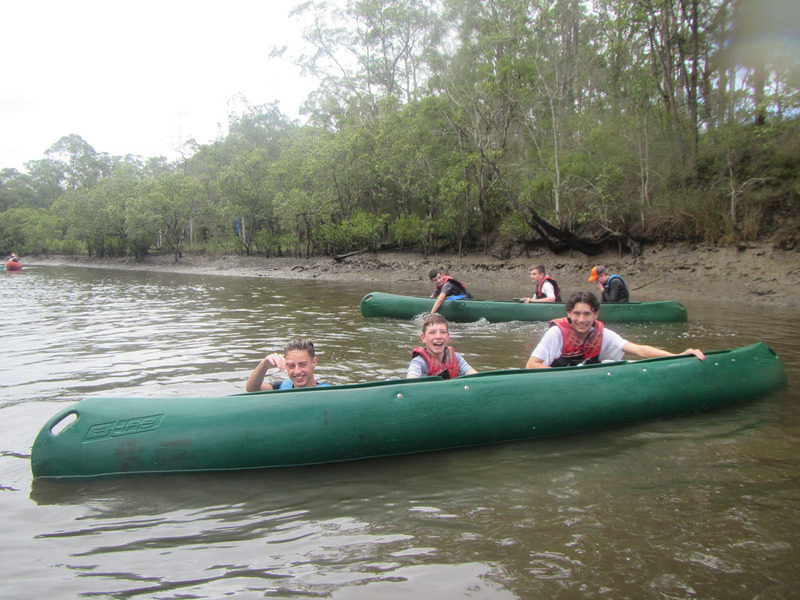 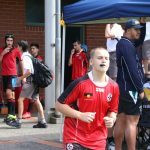 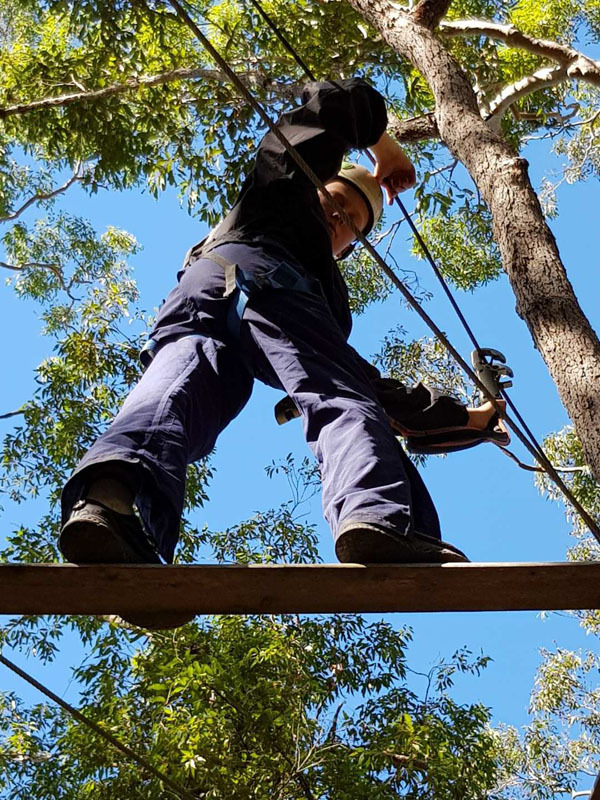 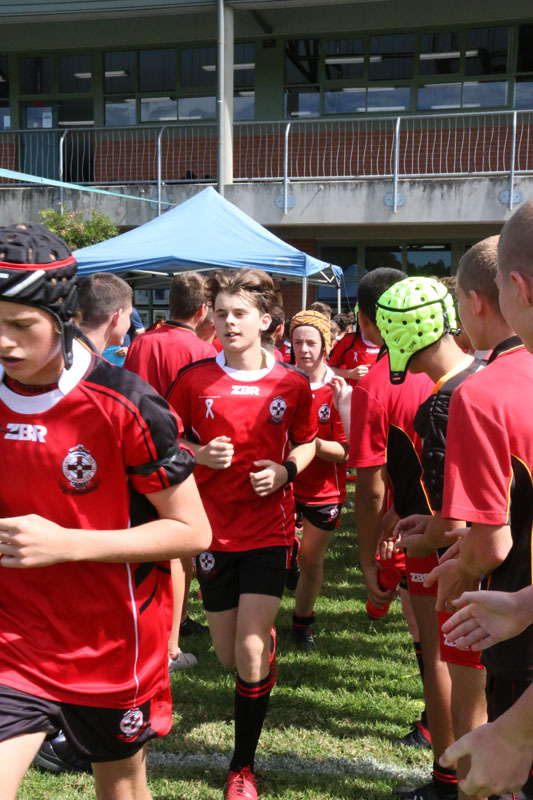 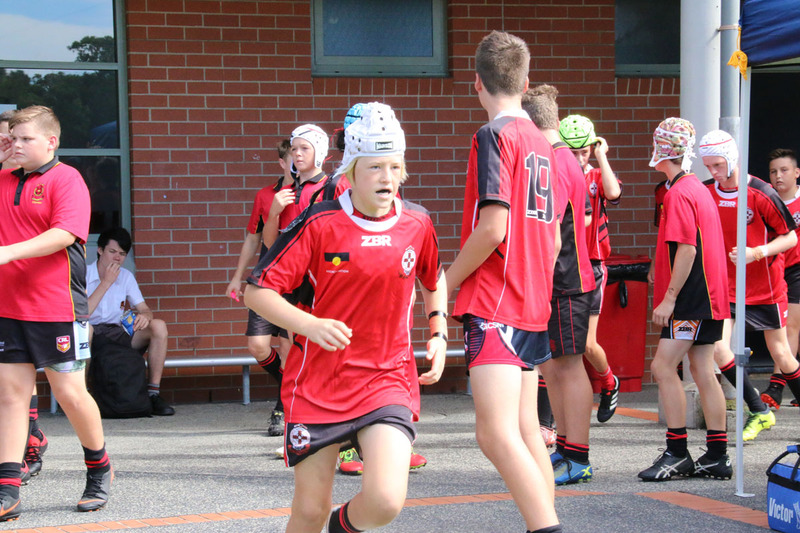 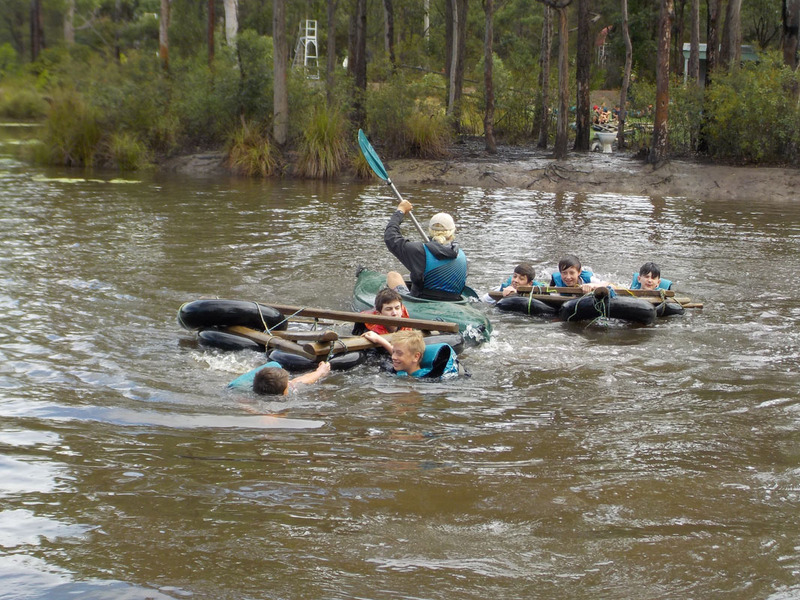 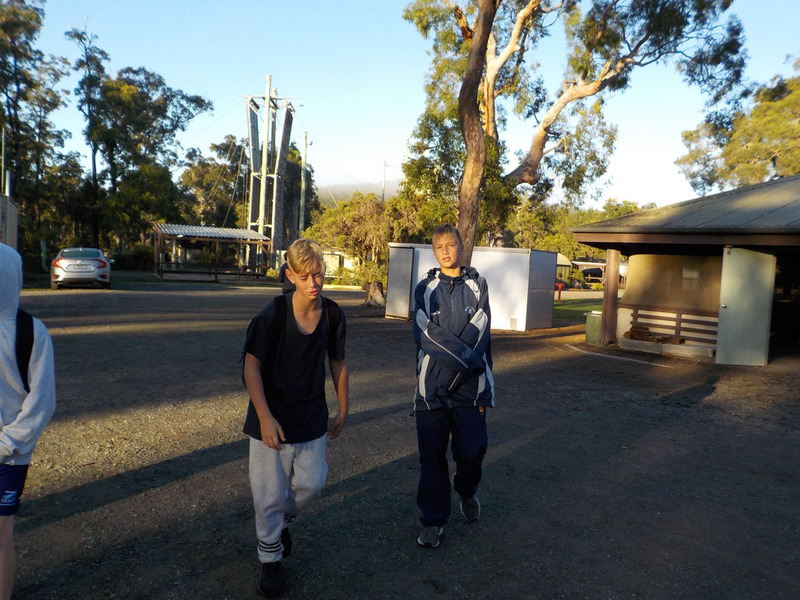 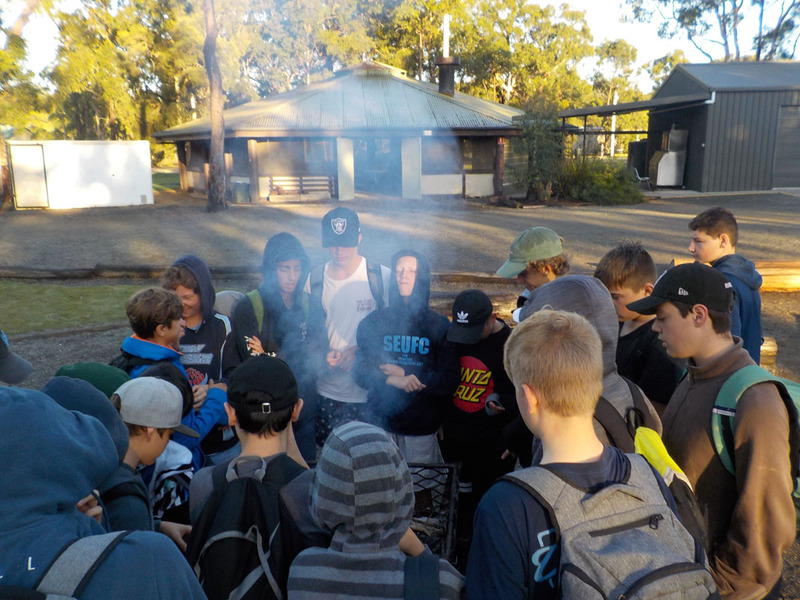 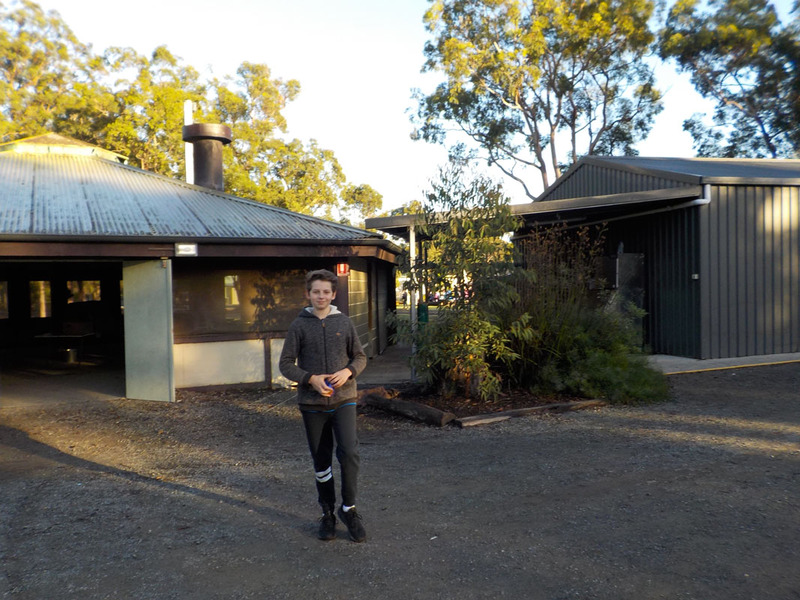 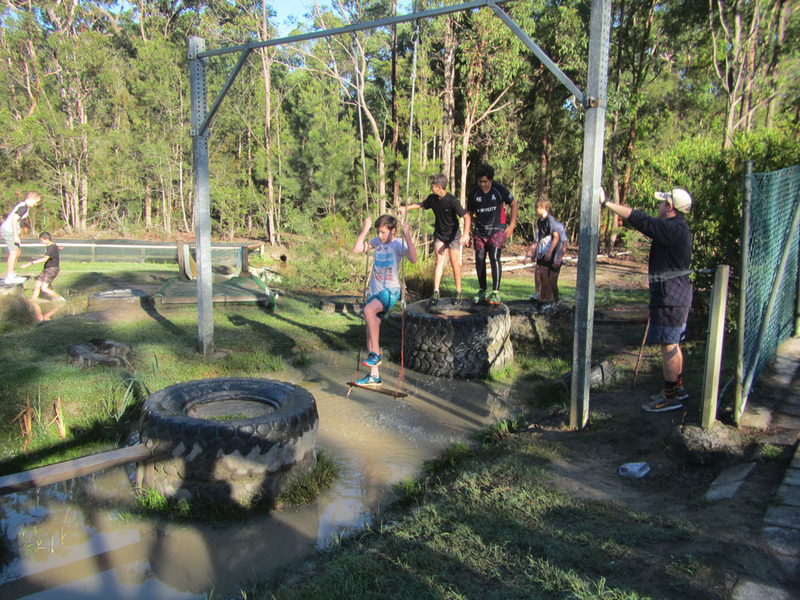 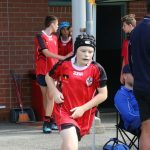 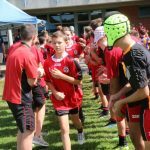 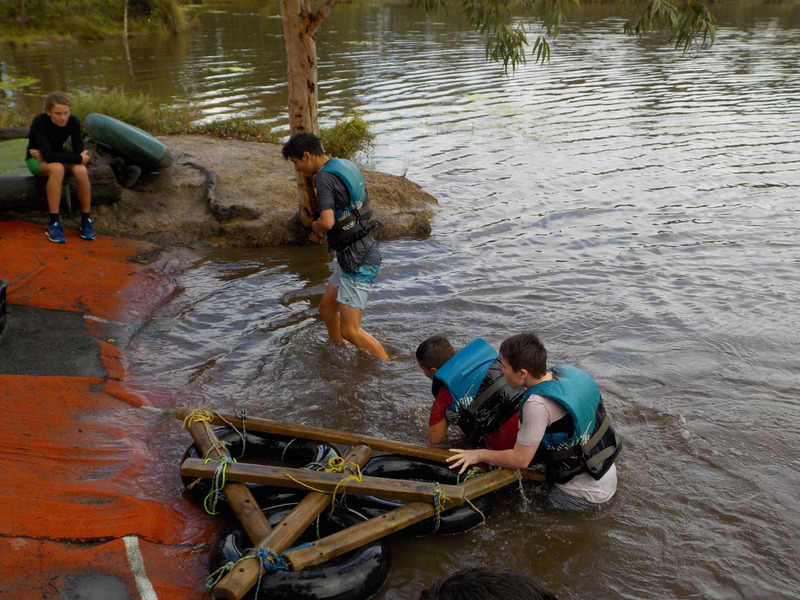 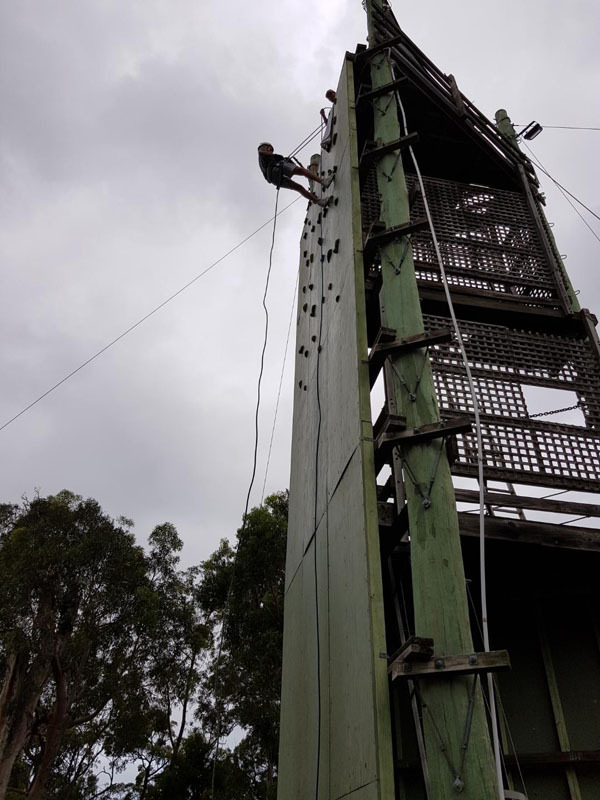 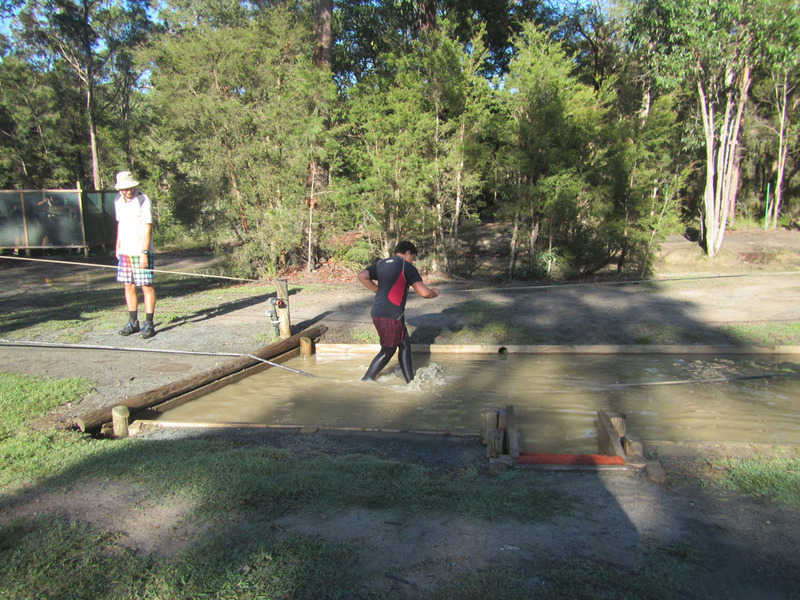 A great three days where Year 8 had the opportunity to step outside their comfort zone.